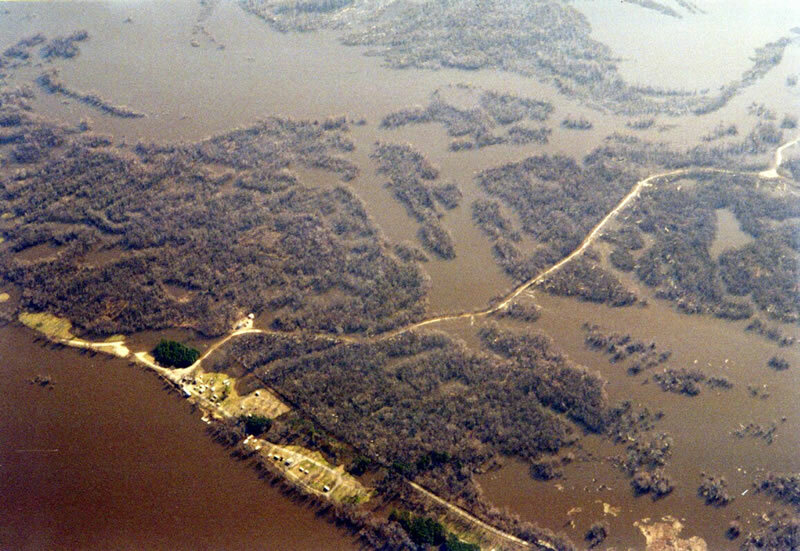 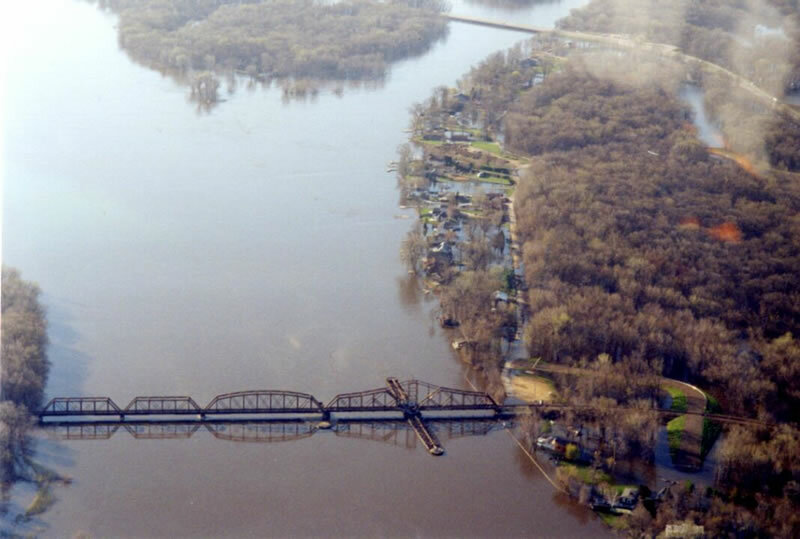 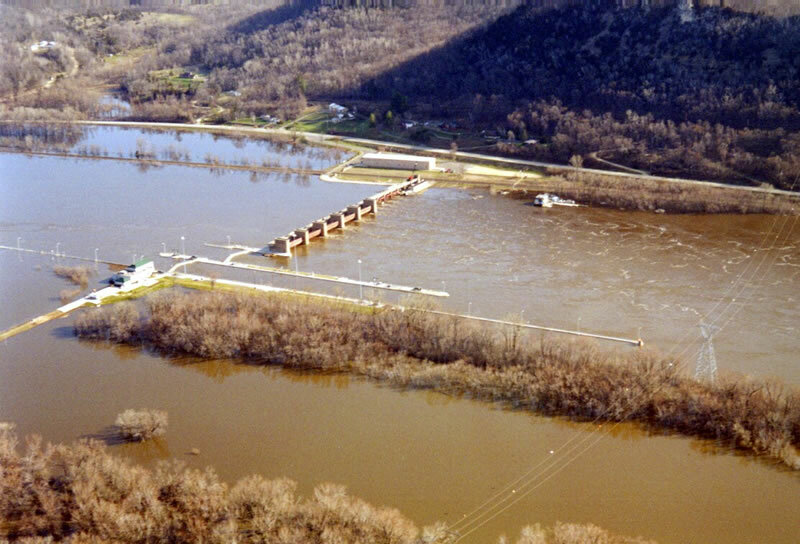 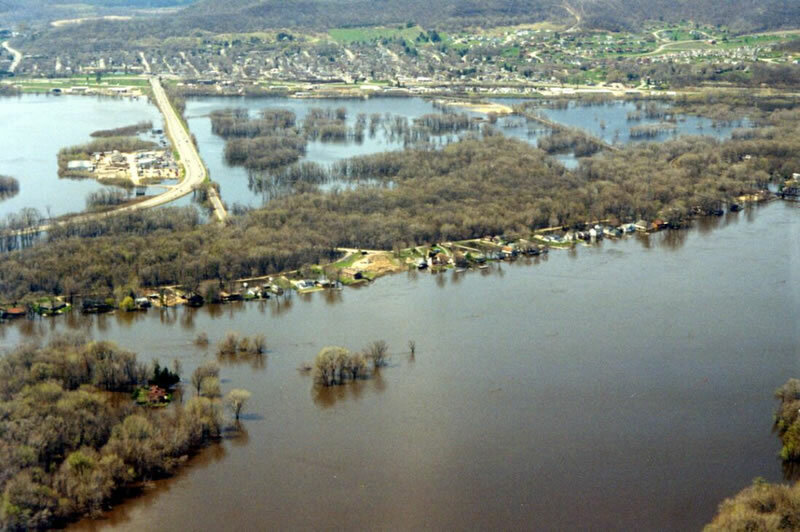 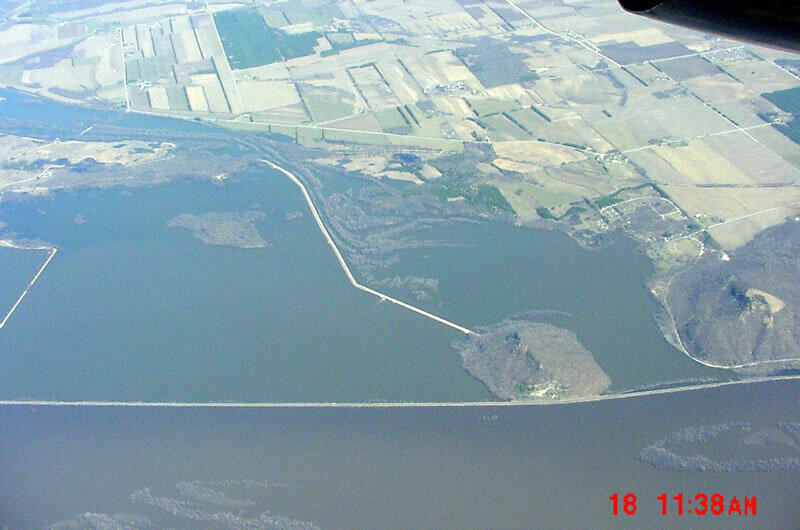 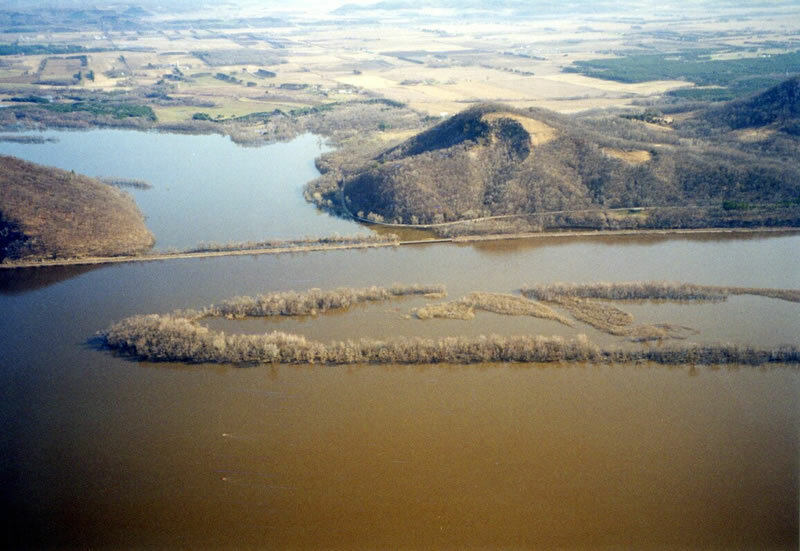 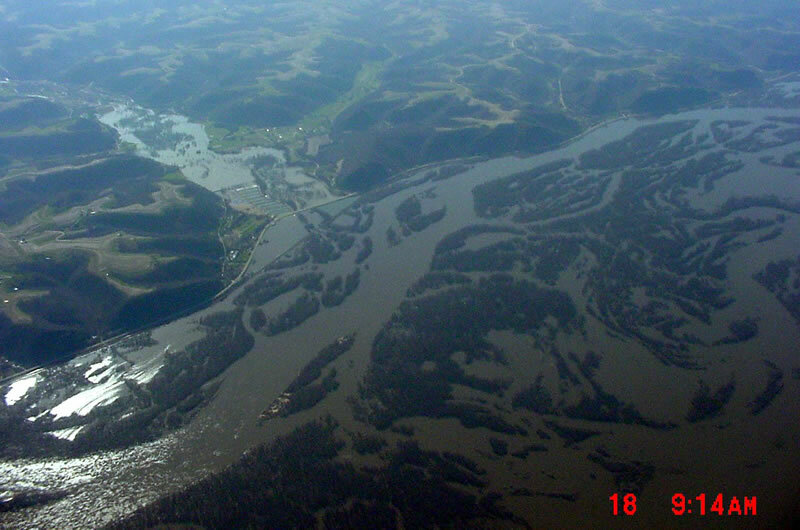 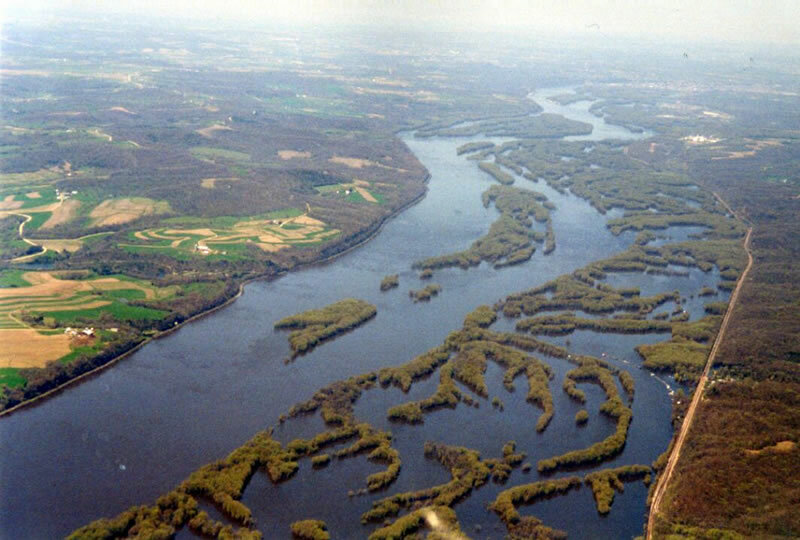 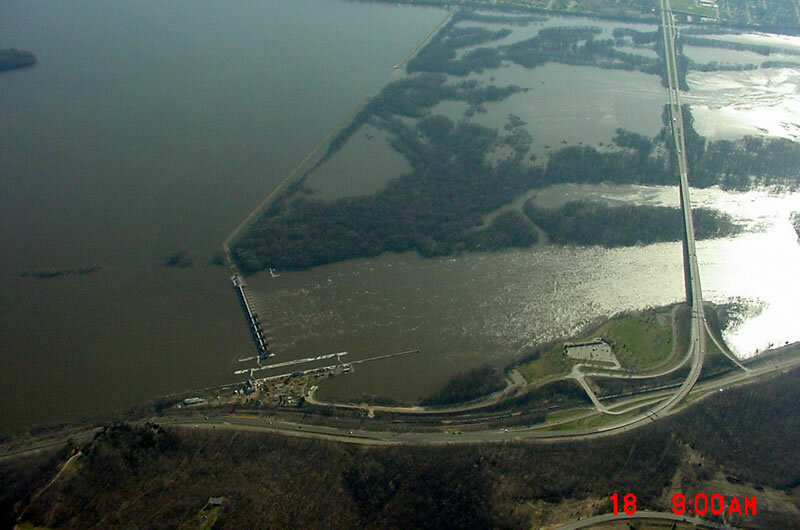 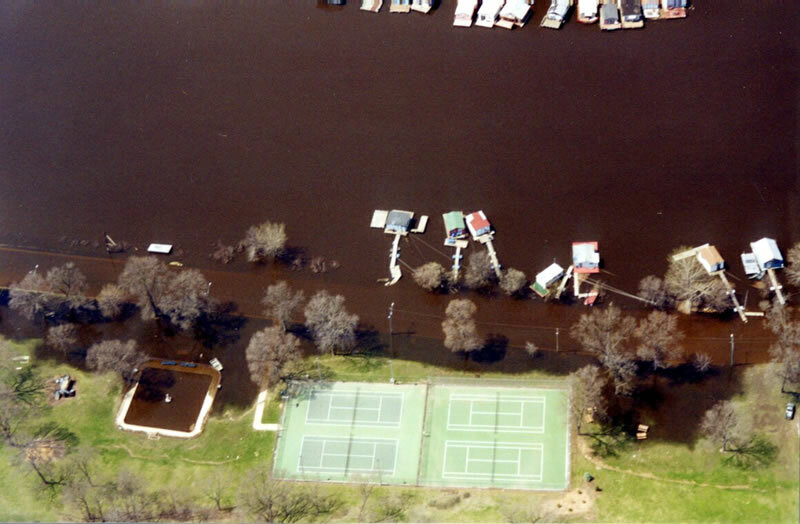 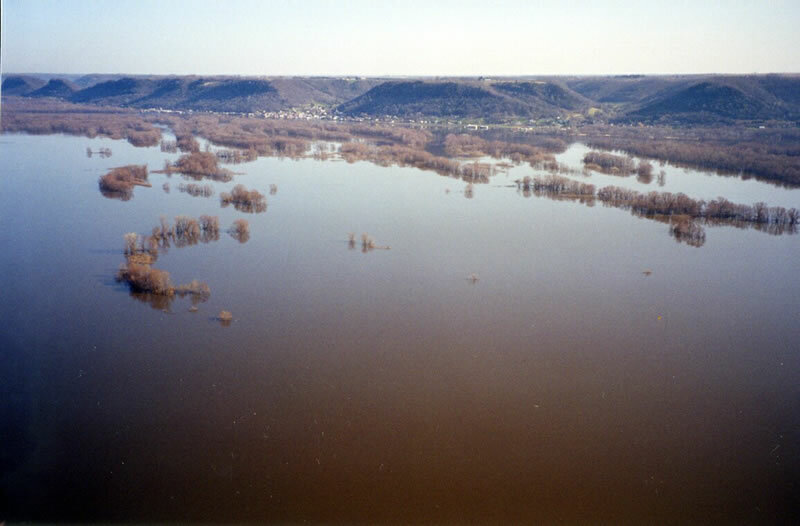 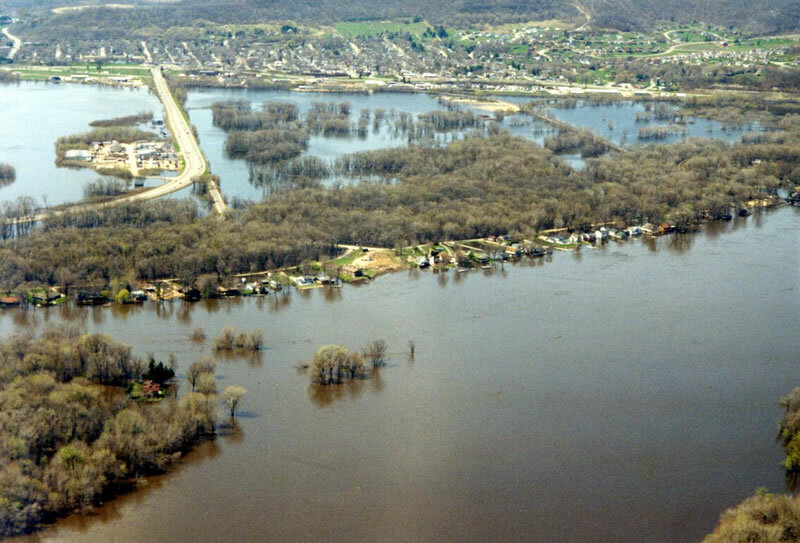 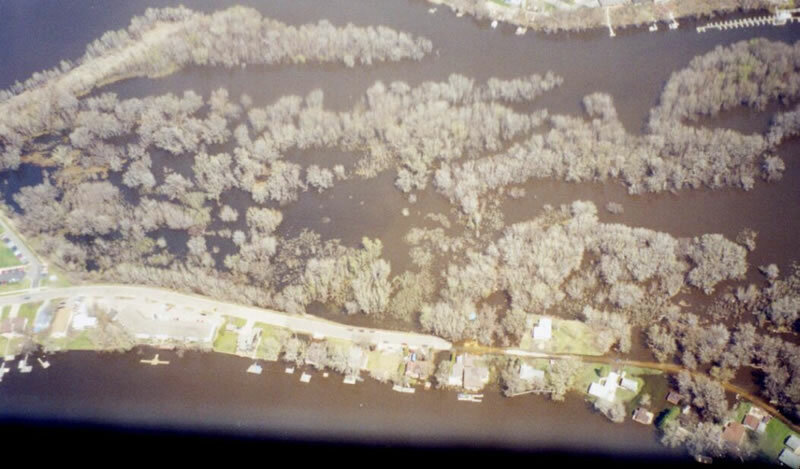 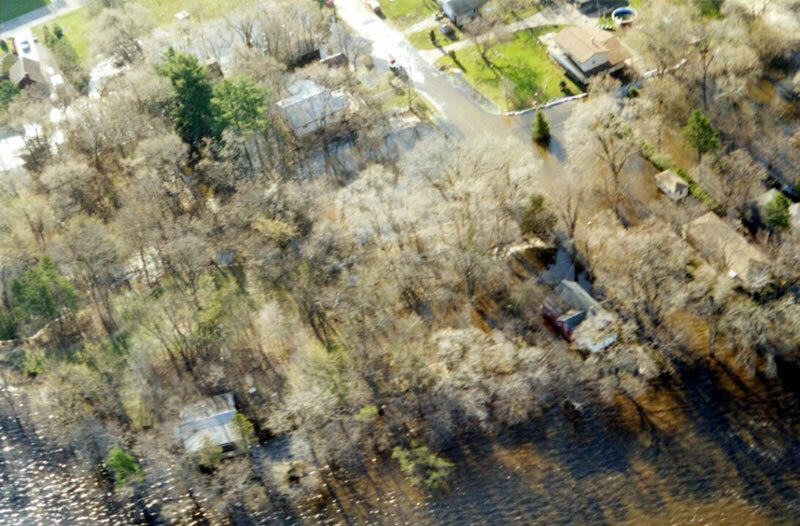 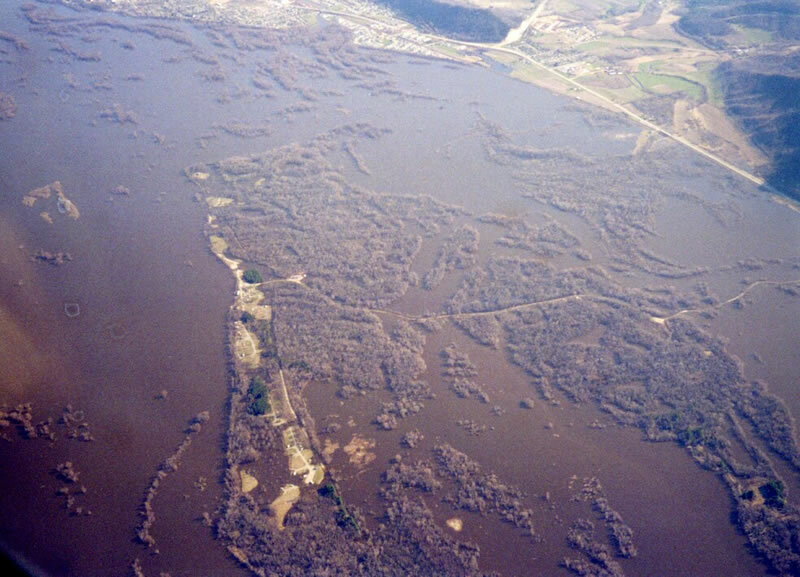 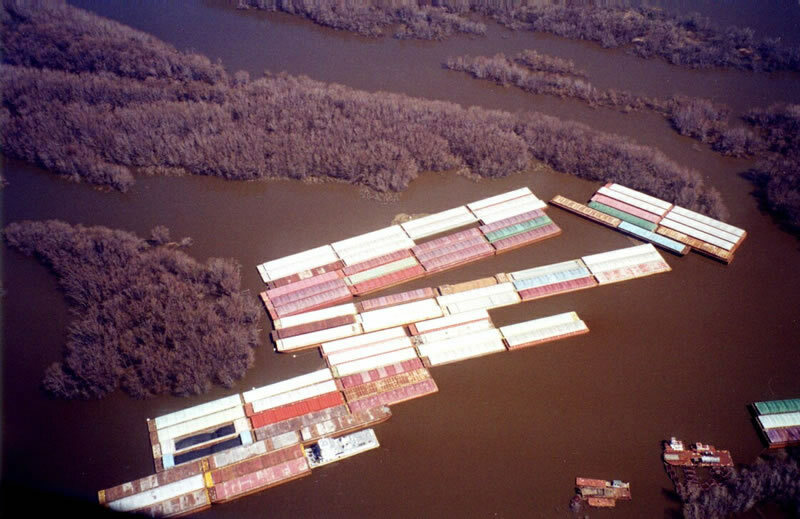 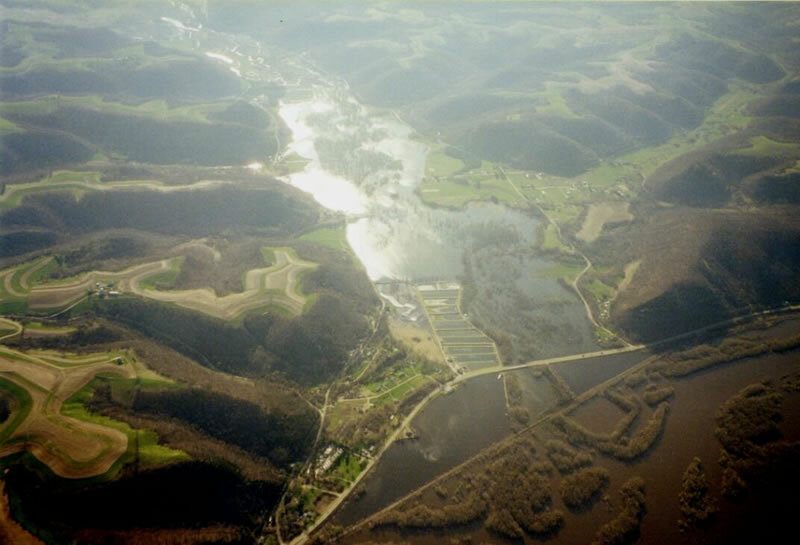 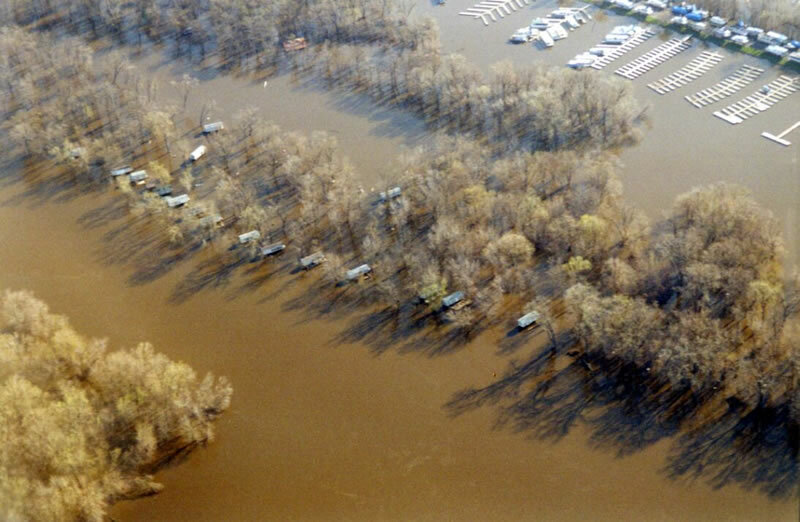 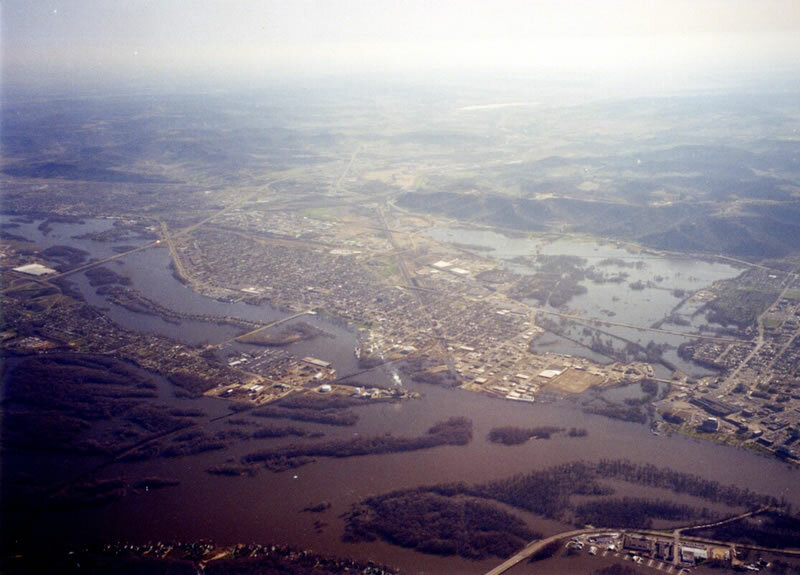 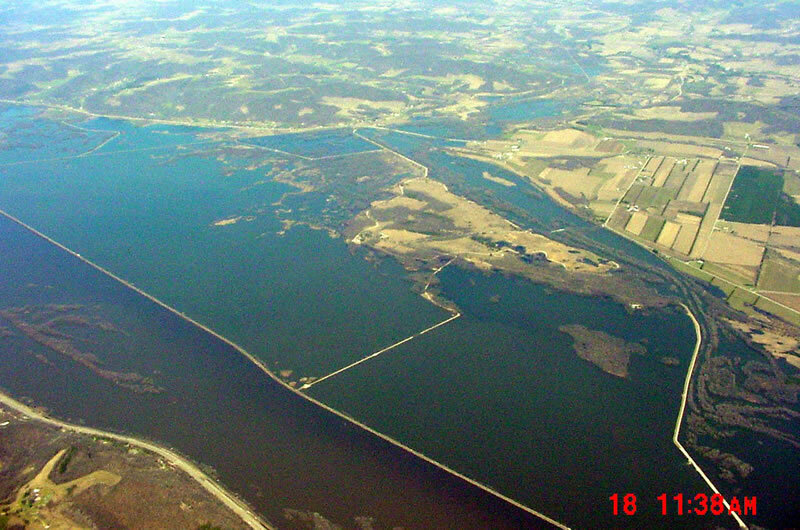 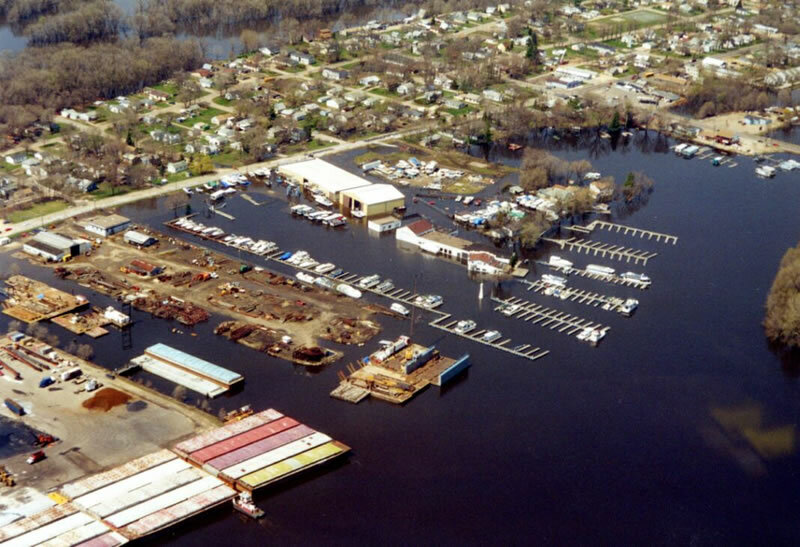 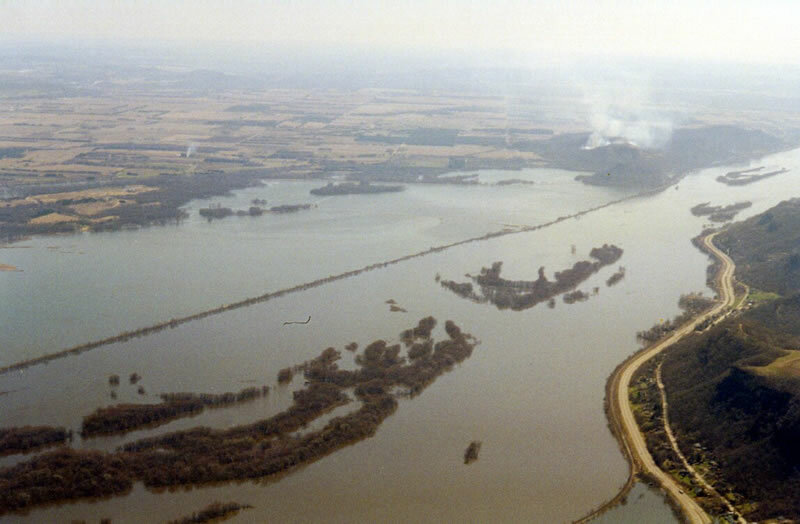 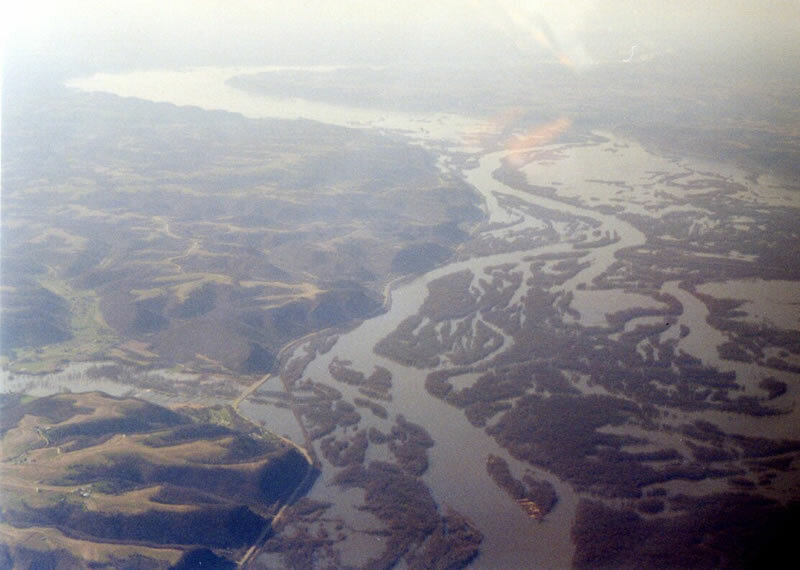 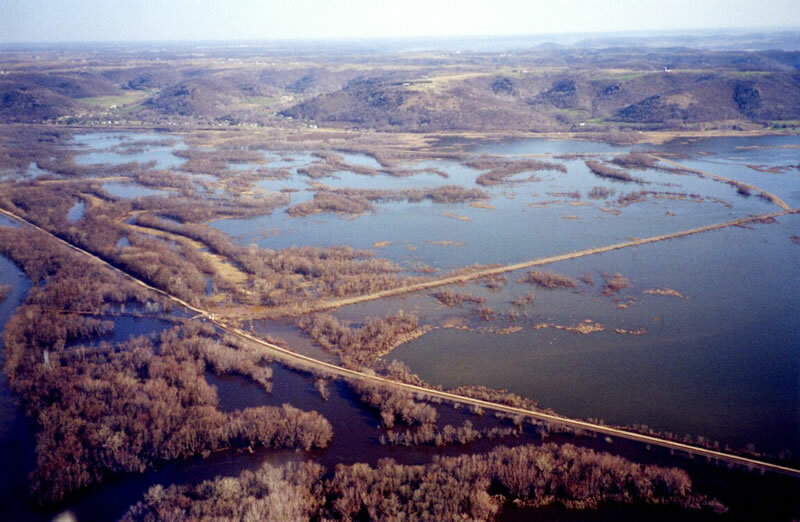 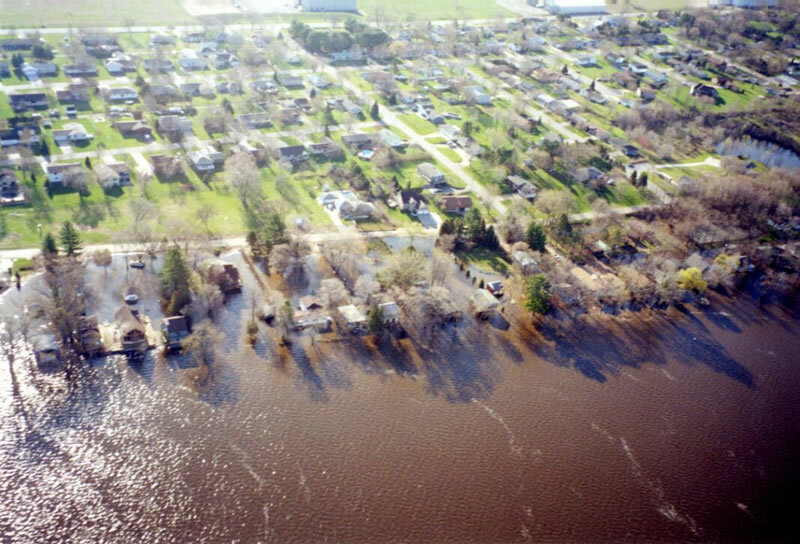 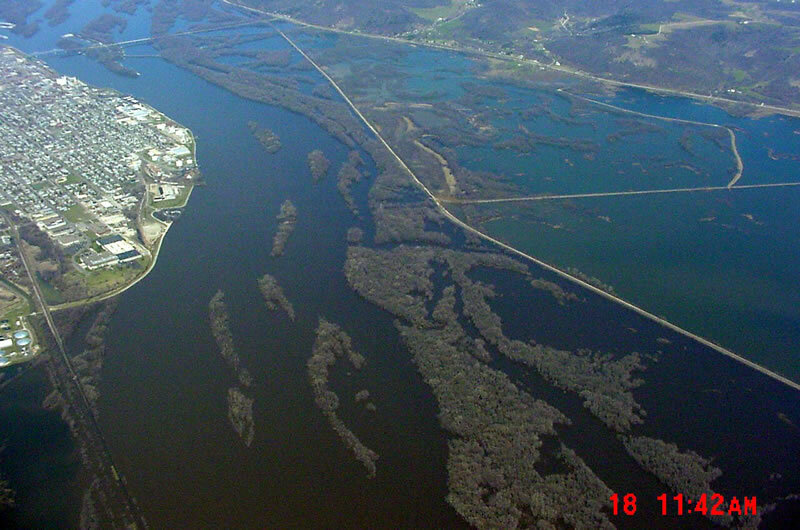 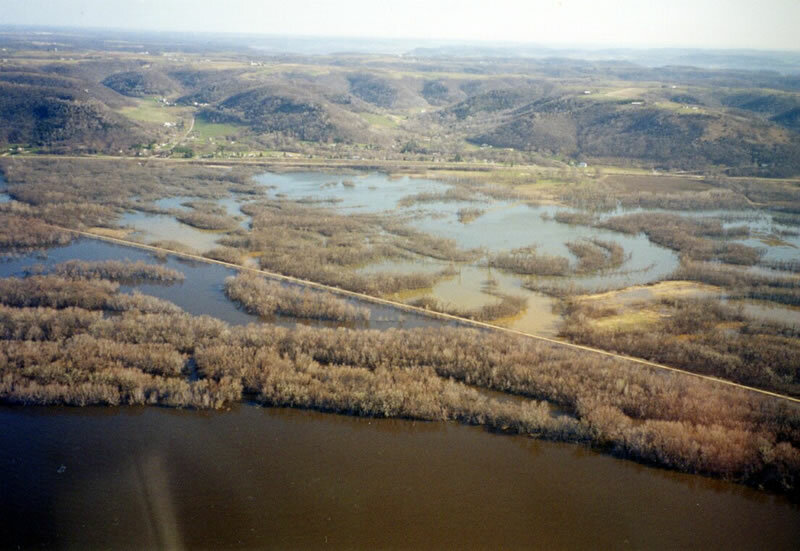 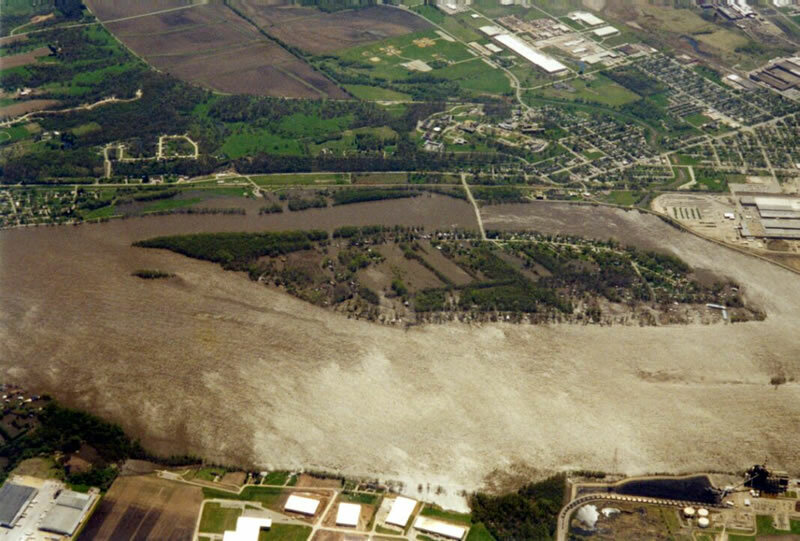 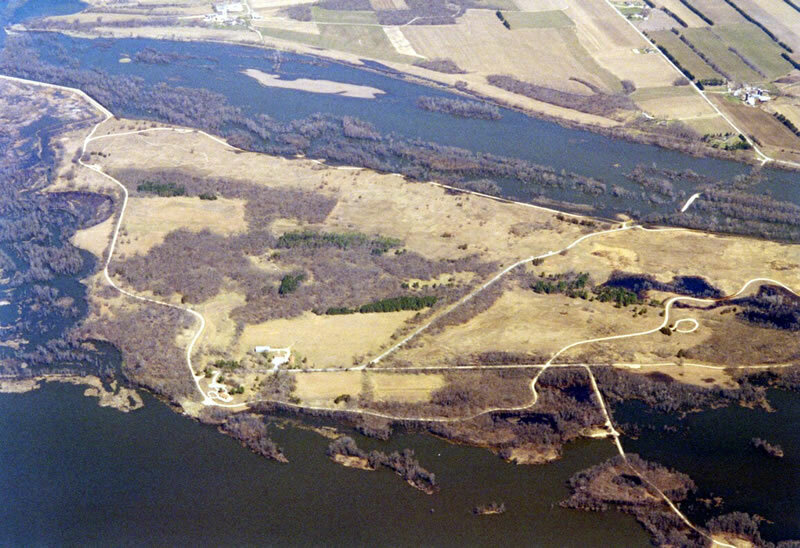 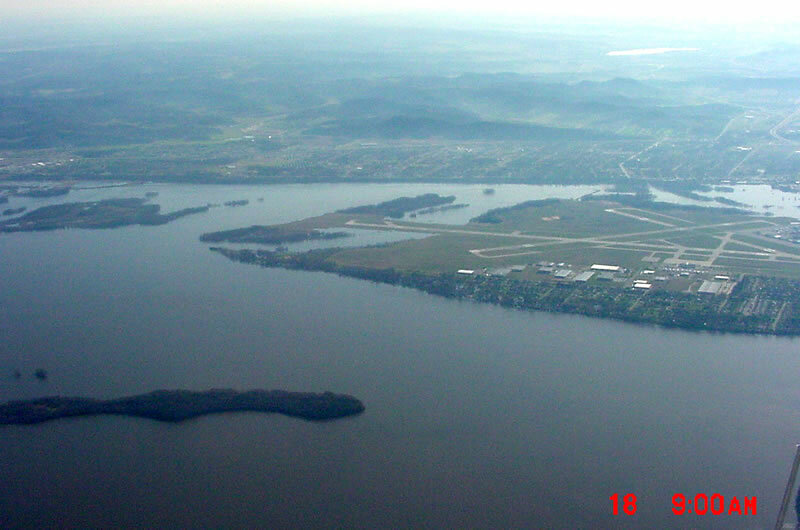 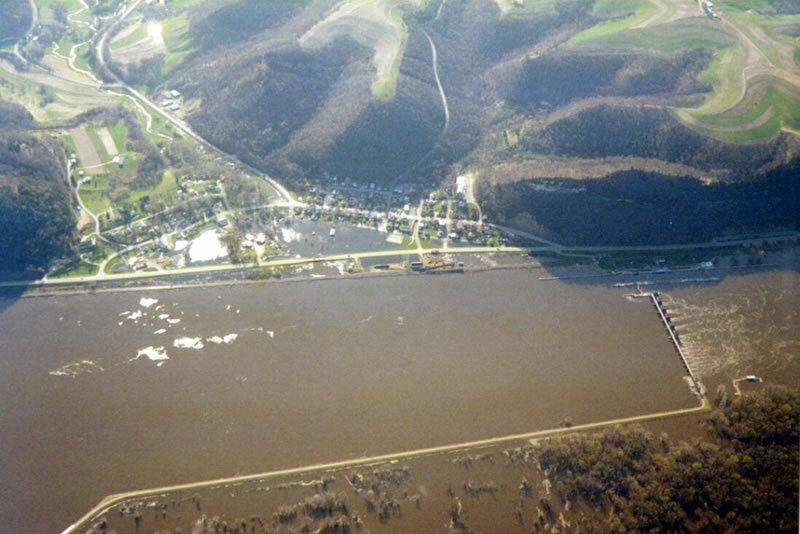 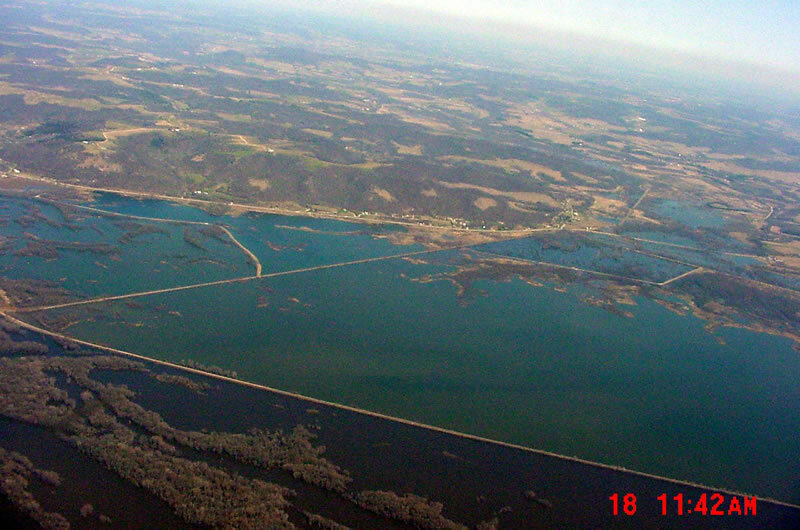 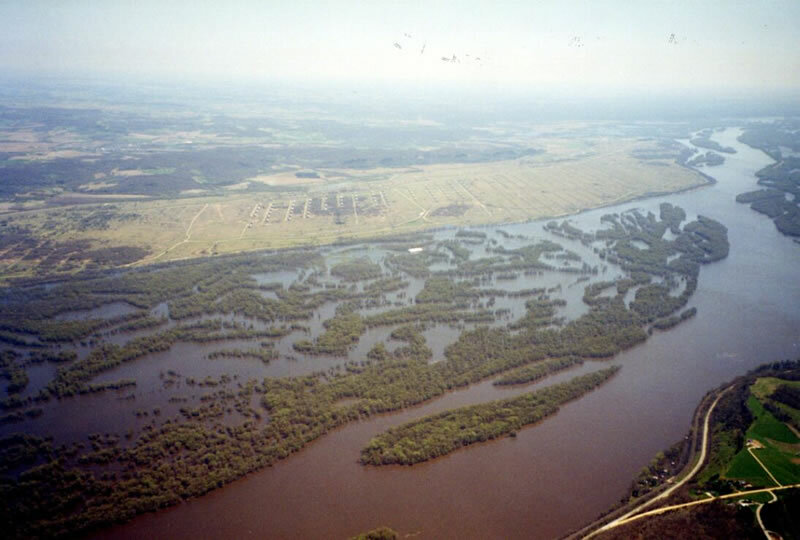 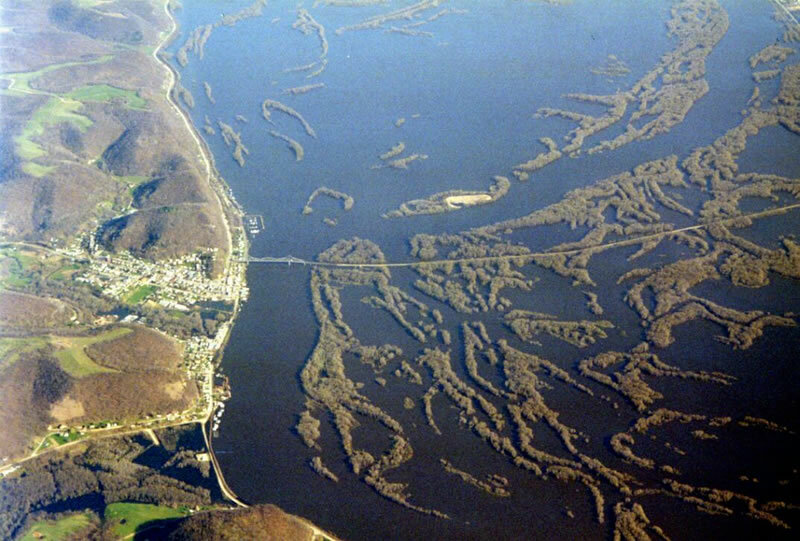 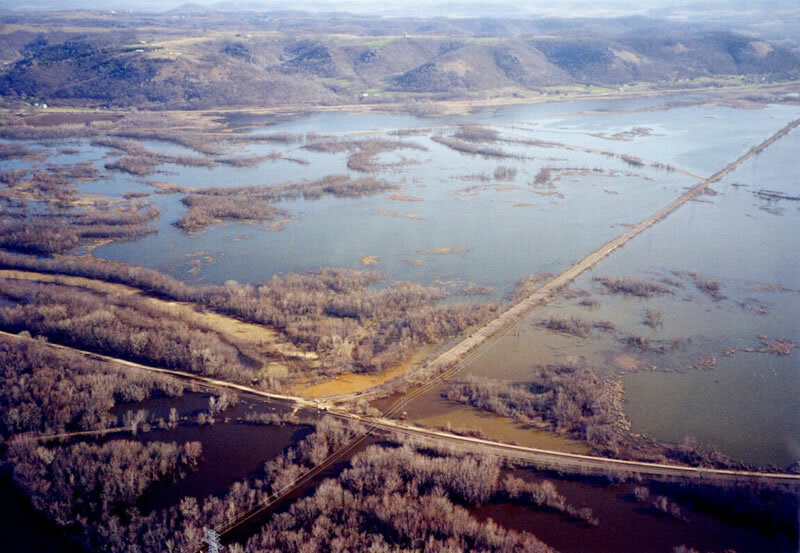 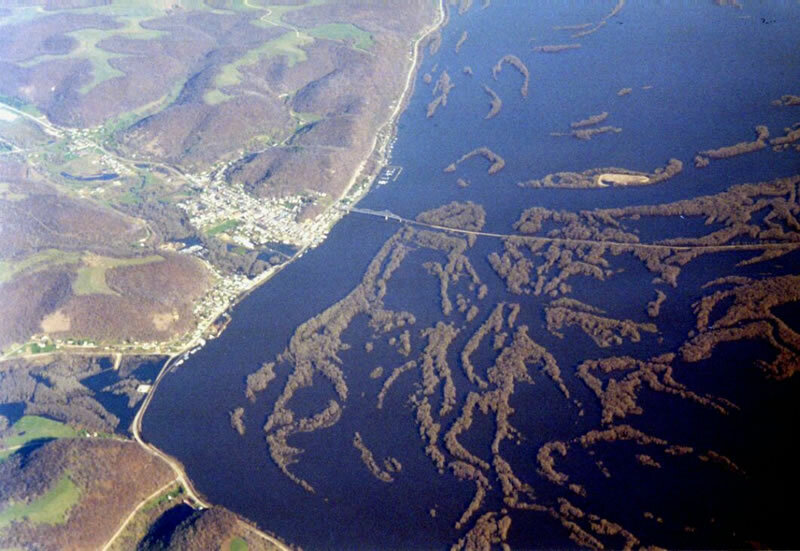 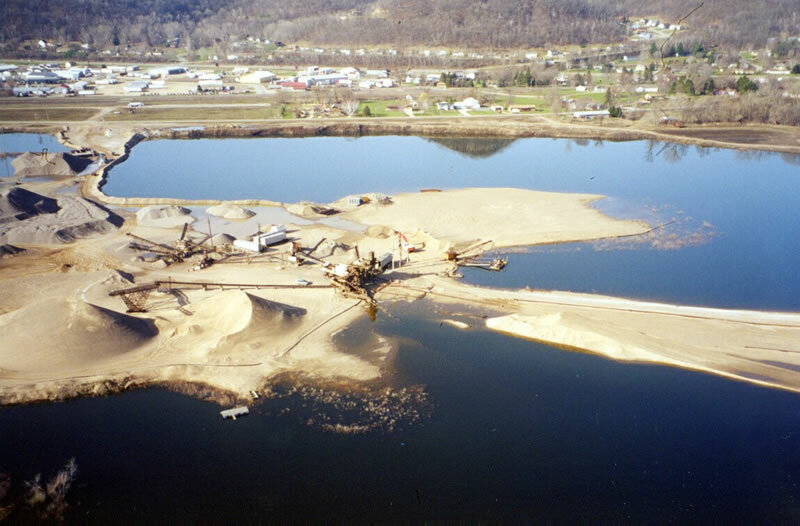 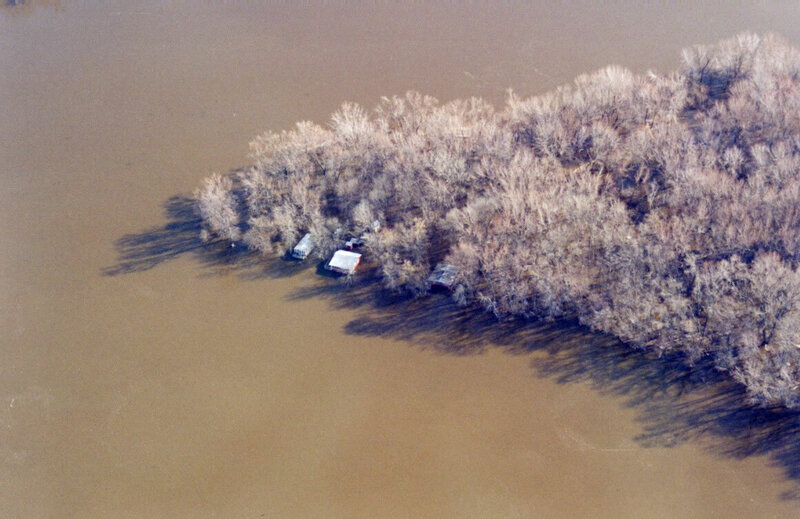 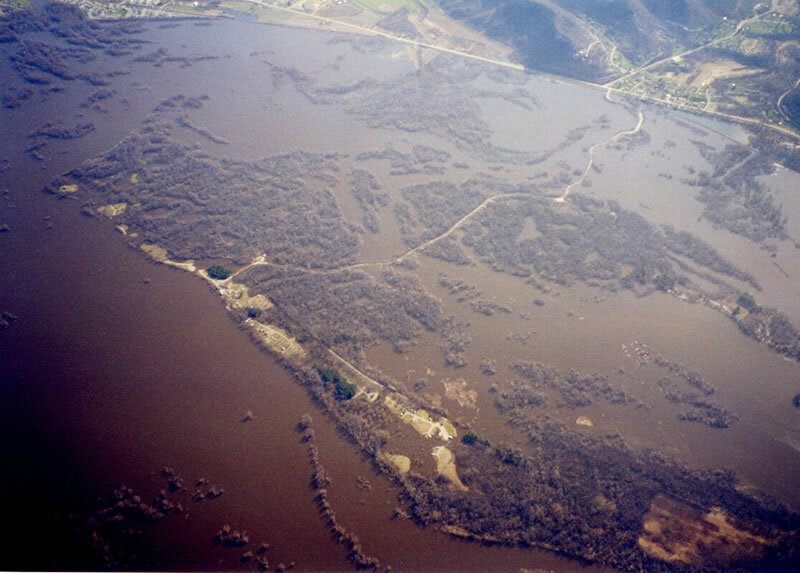 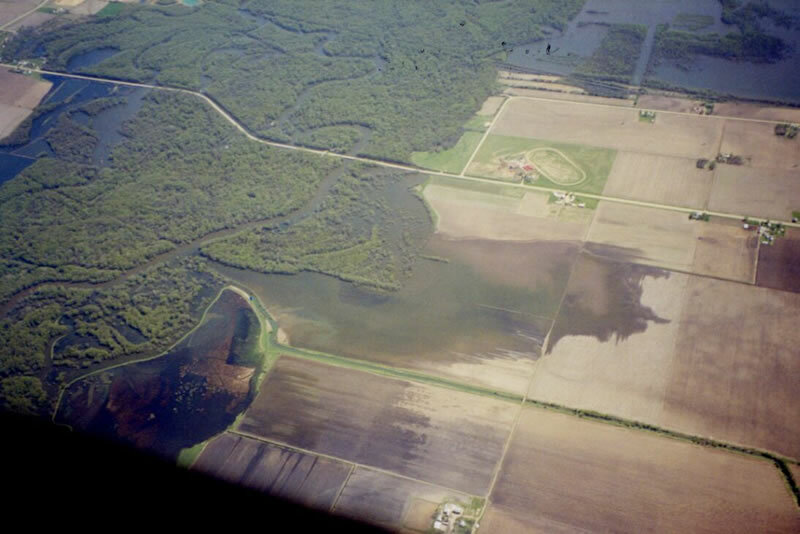 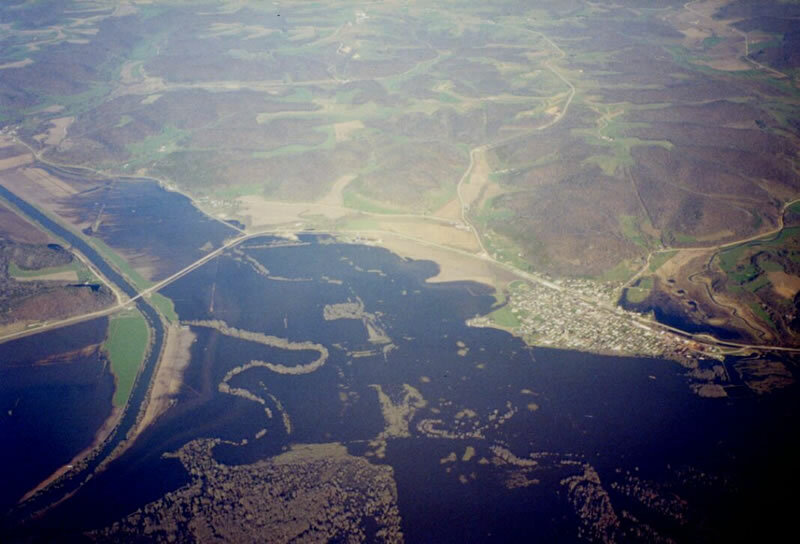 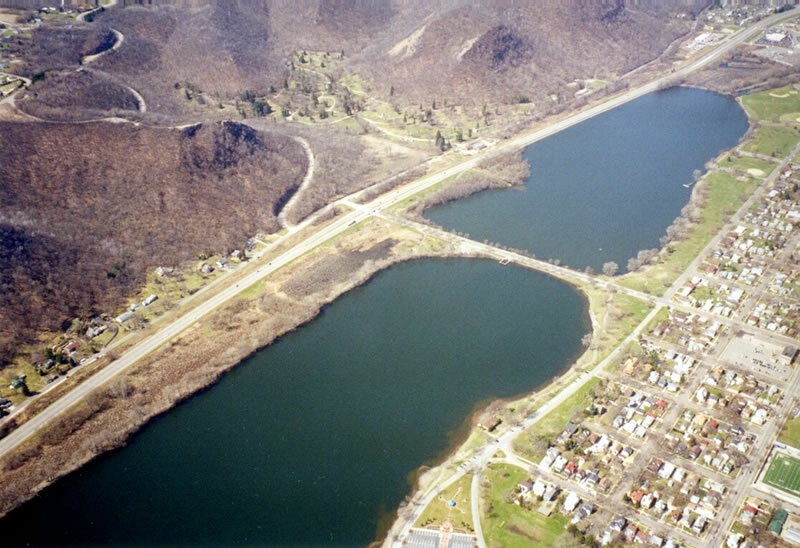 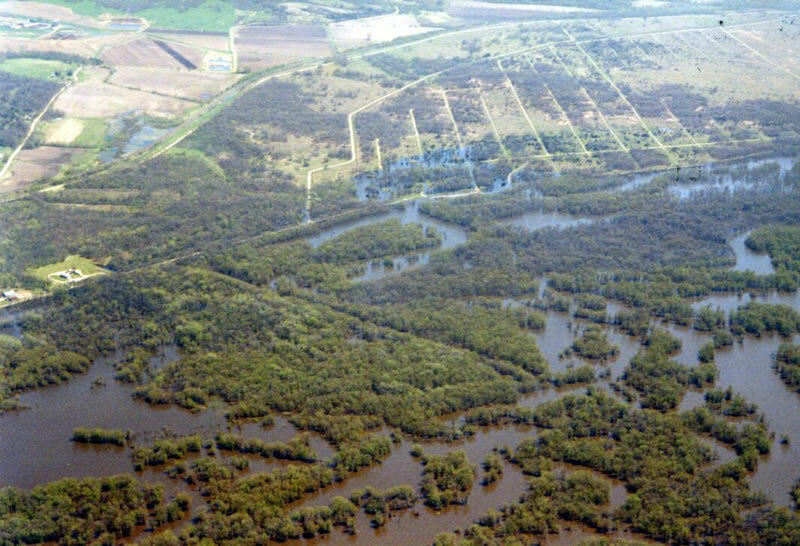 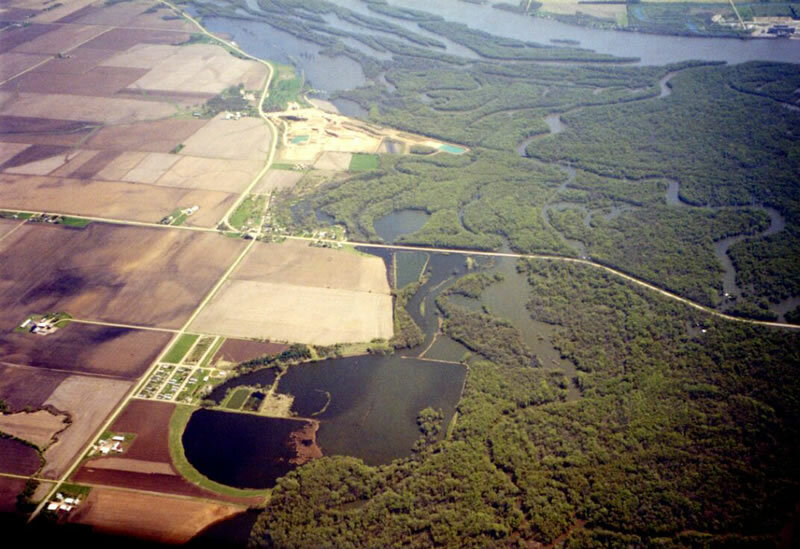 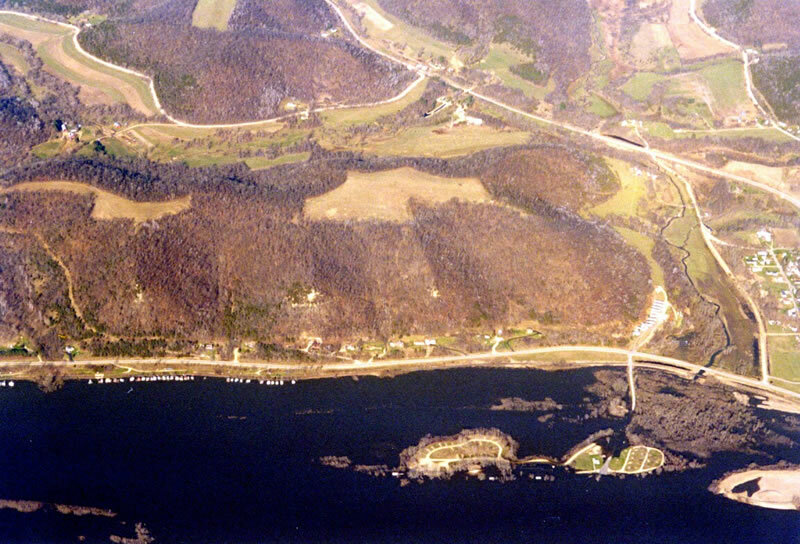 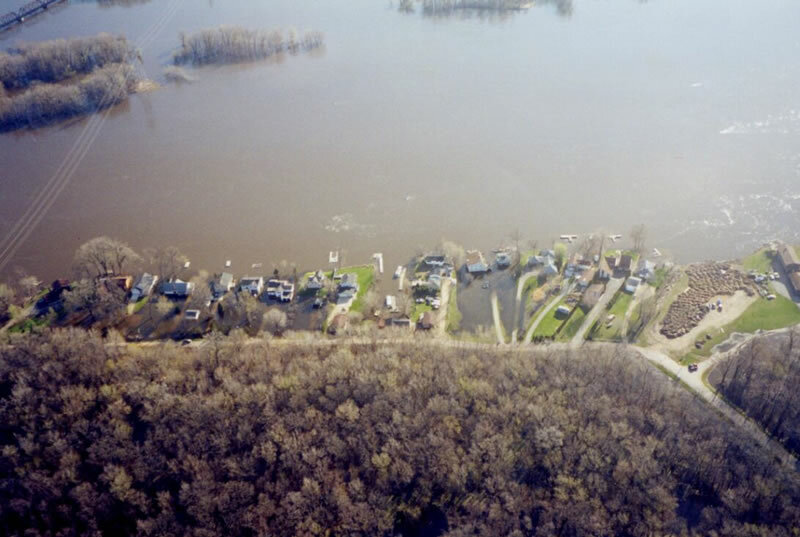 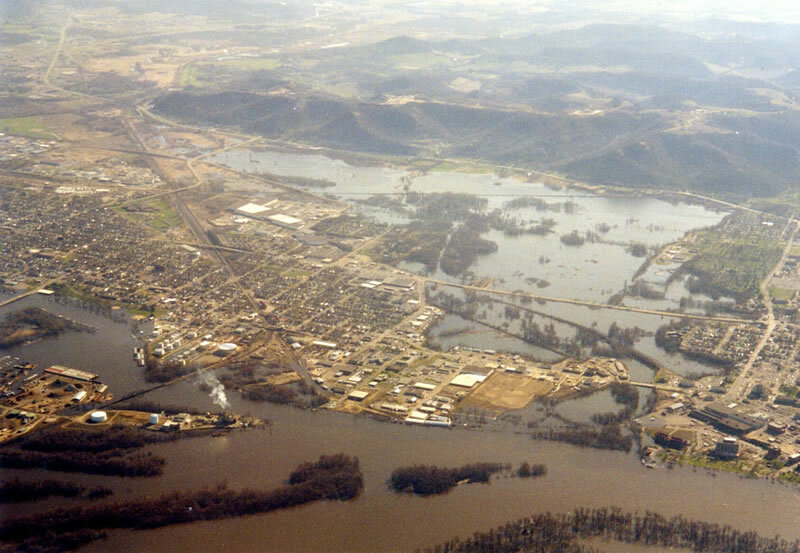 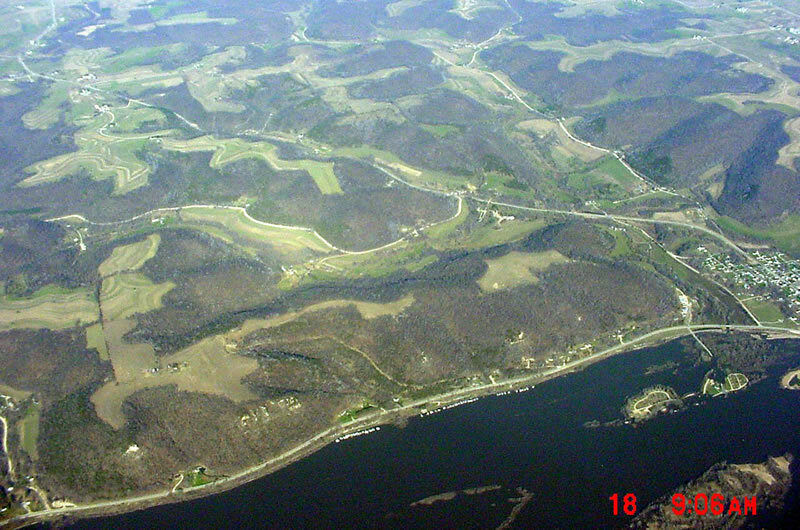 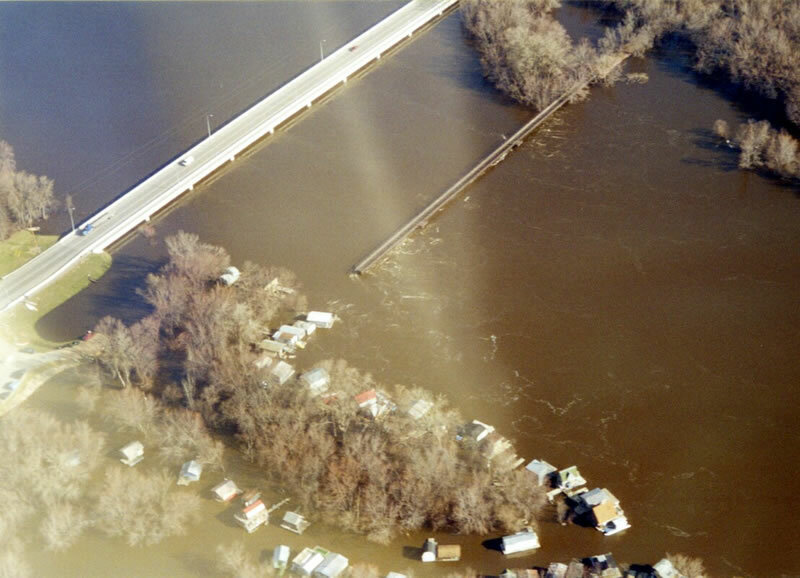 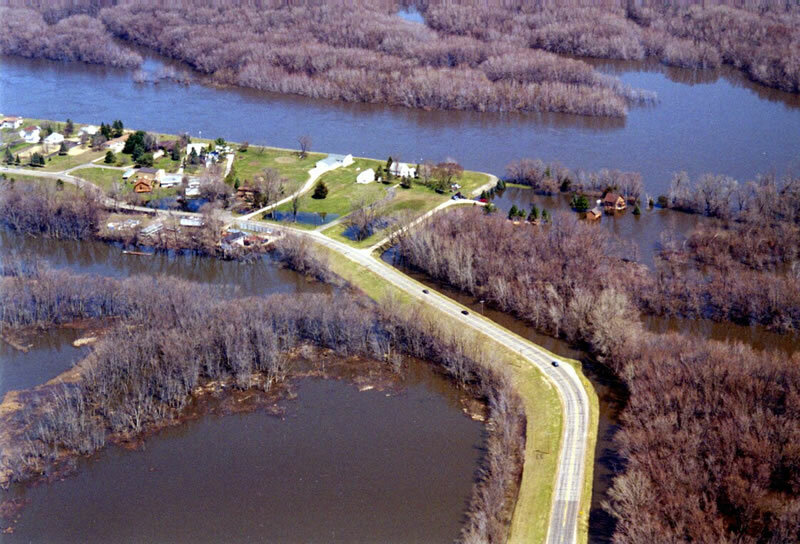 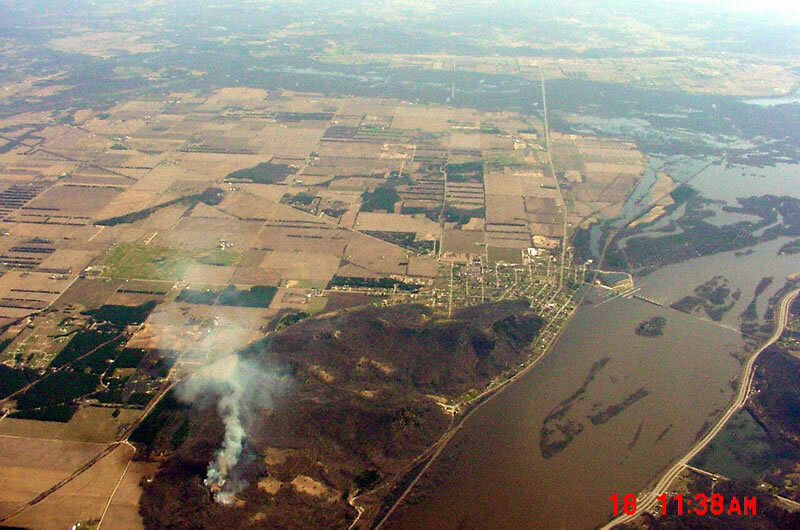 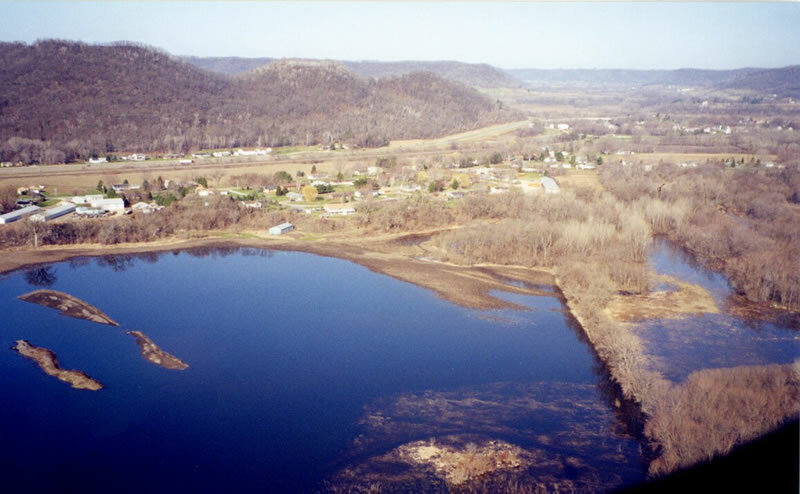 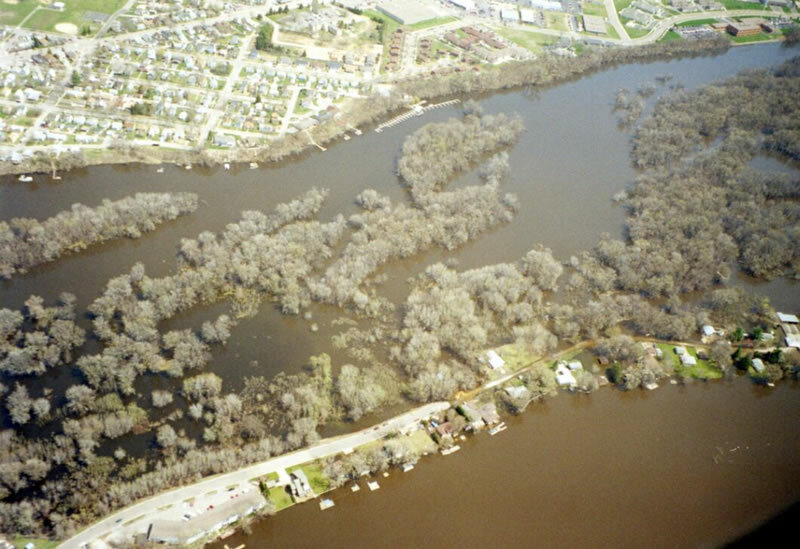 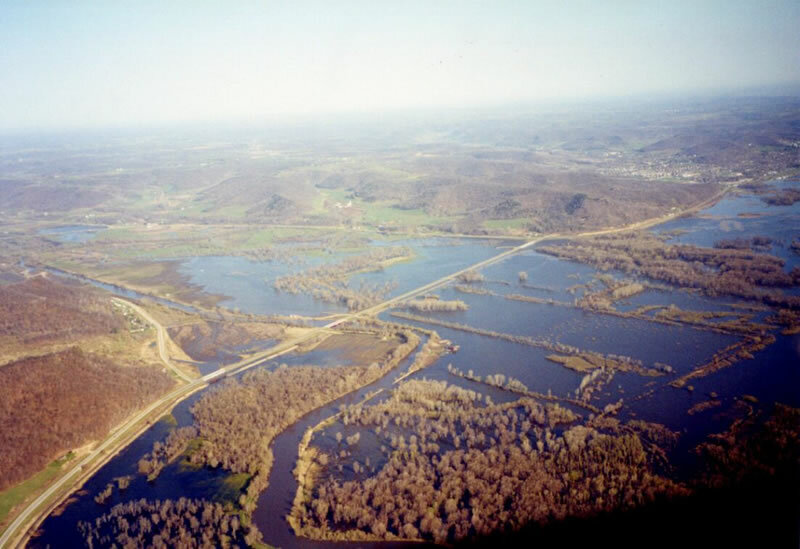 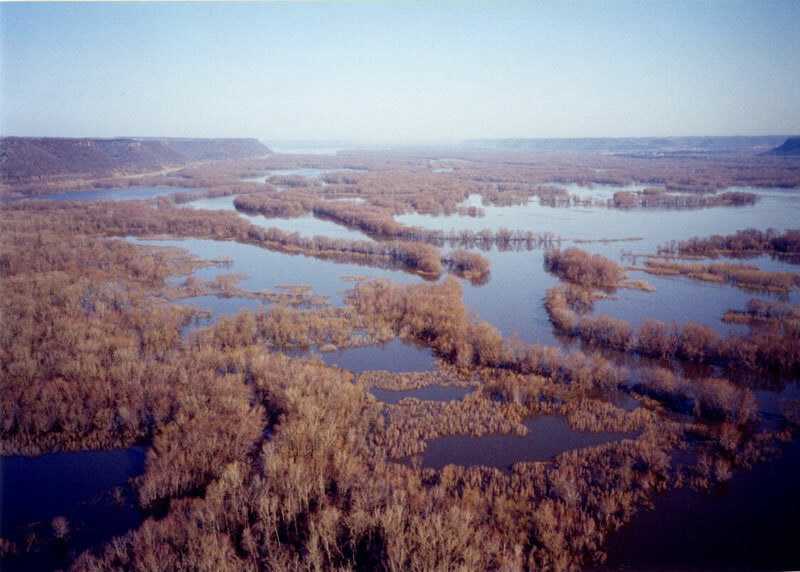 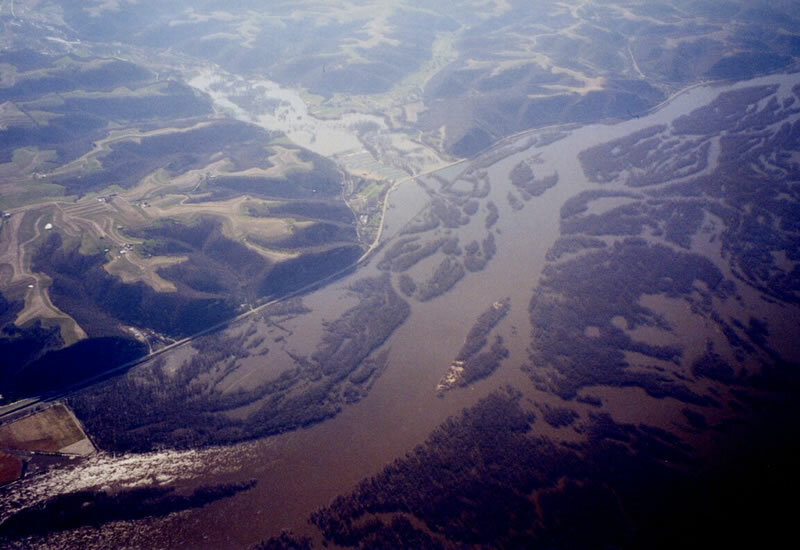 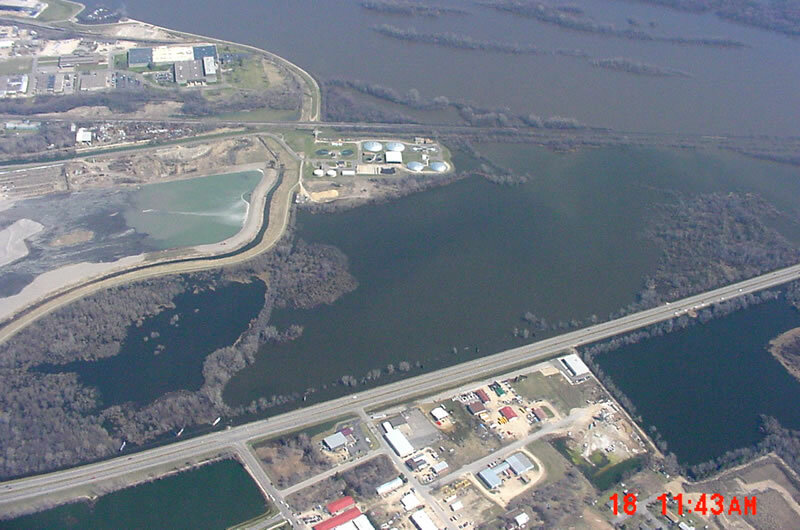 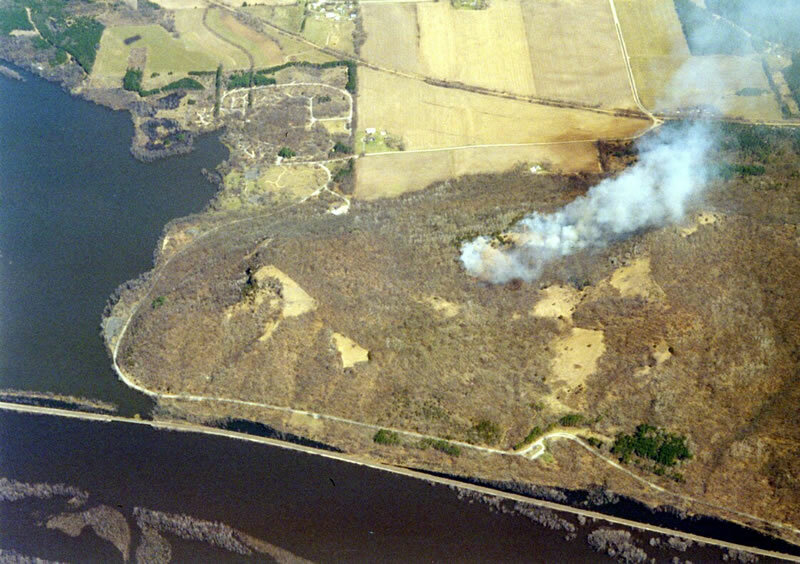 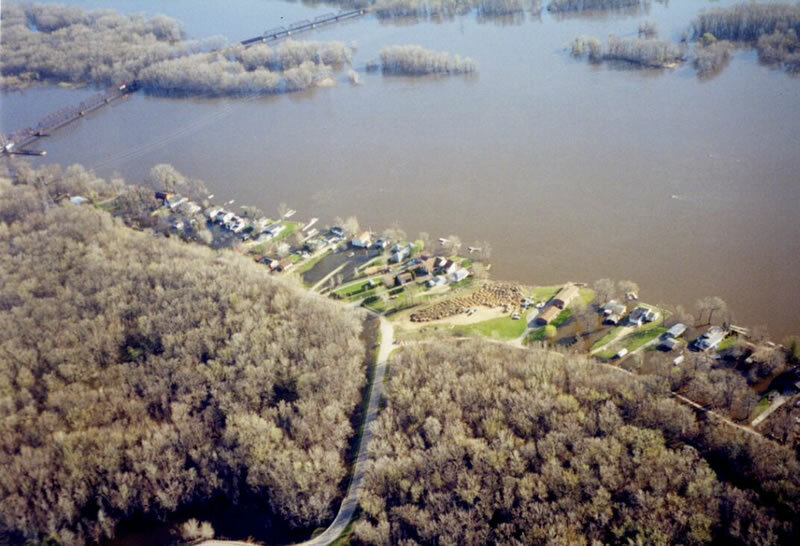 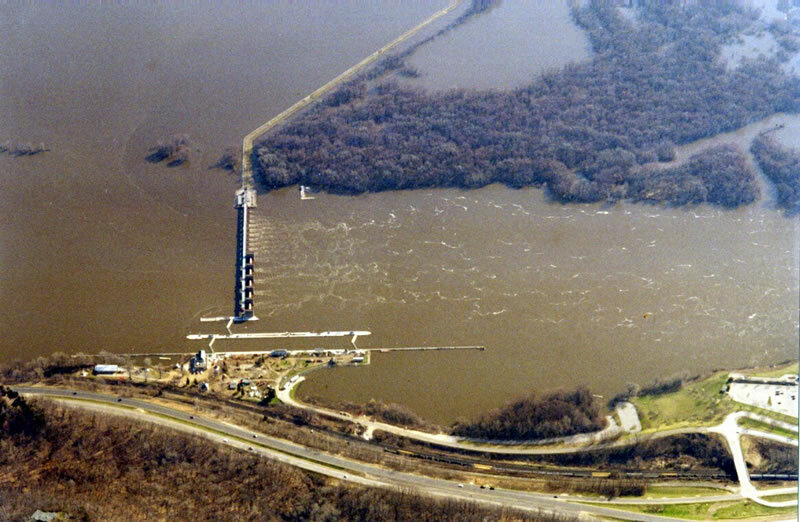 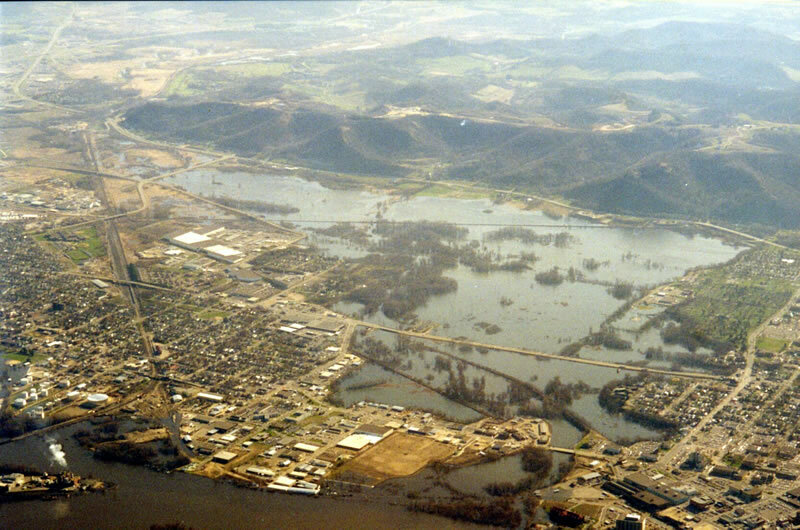 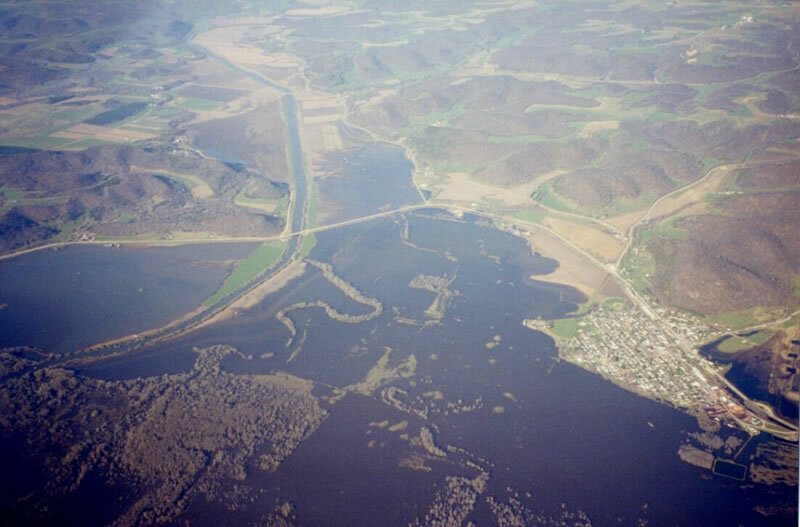 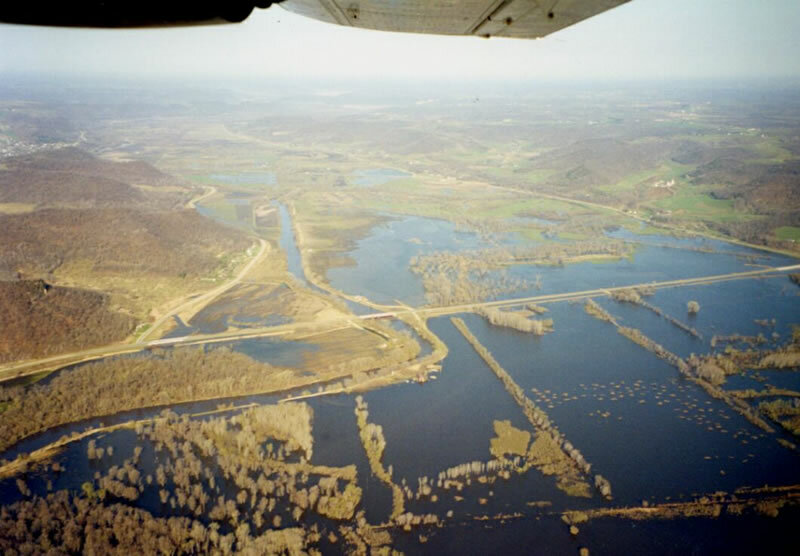 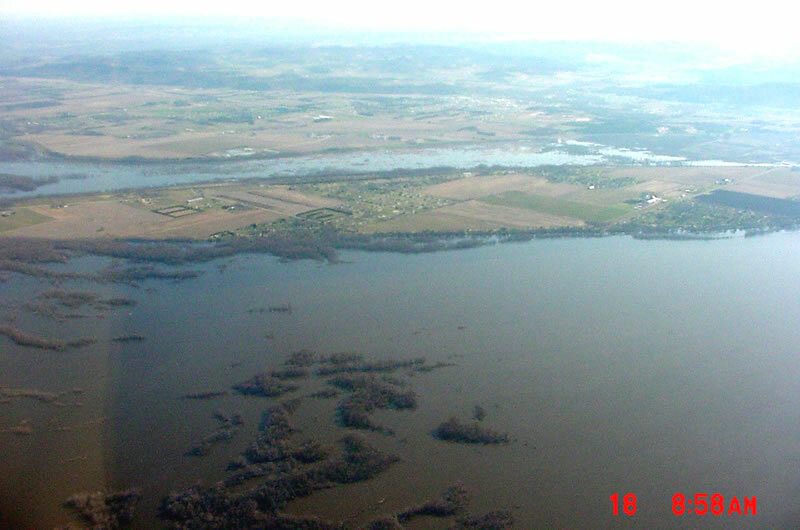 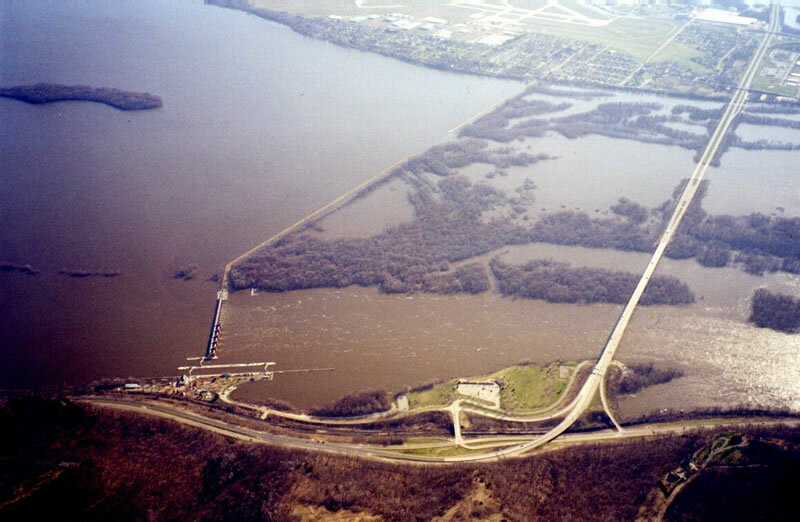 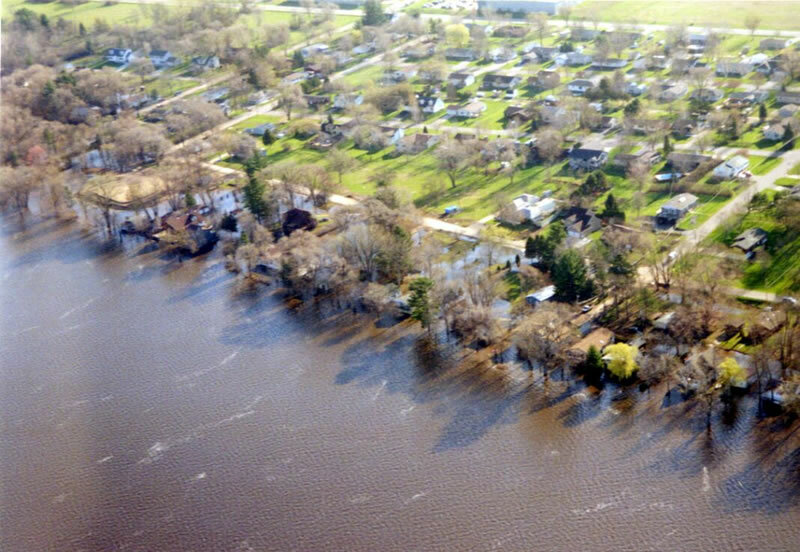 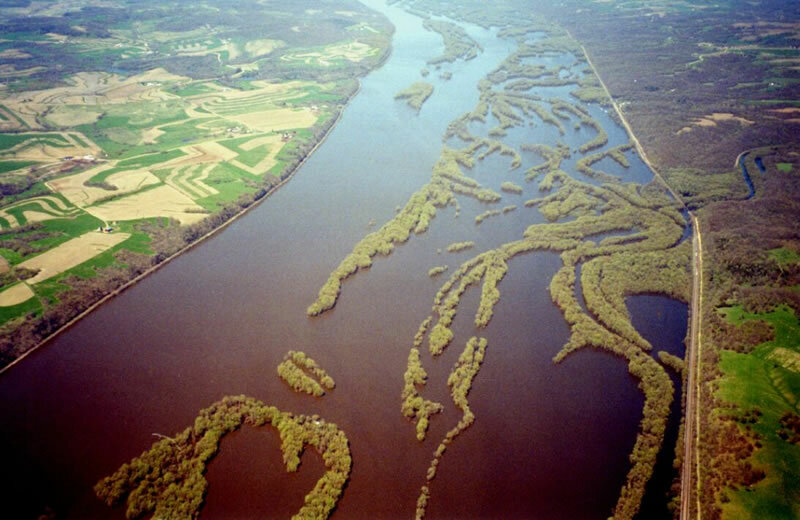 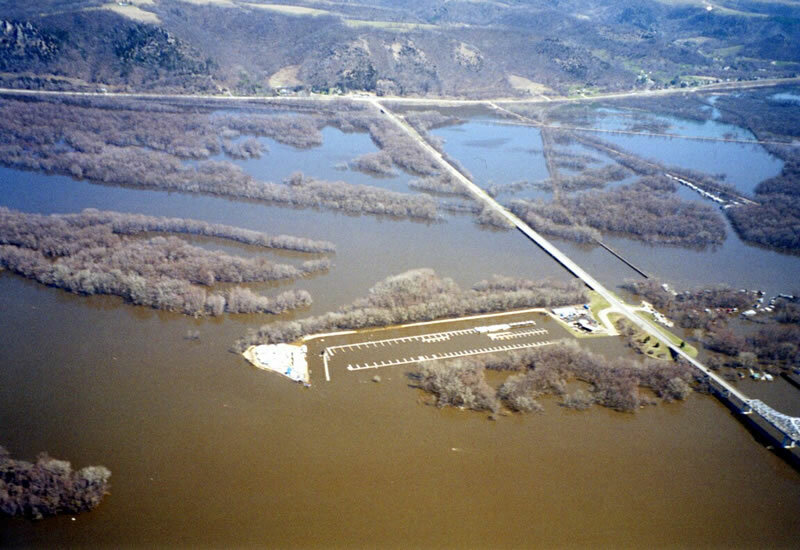 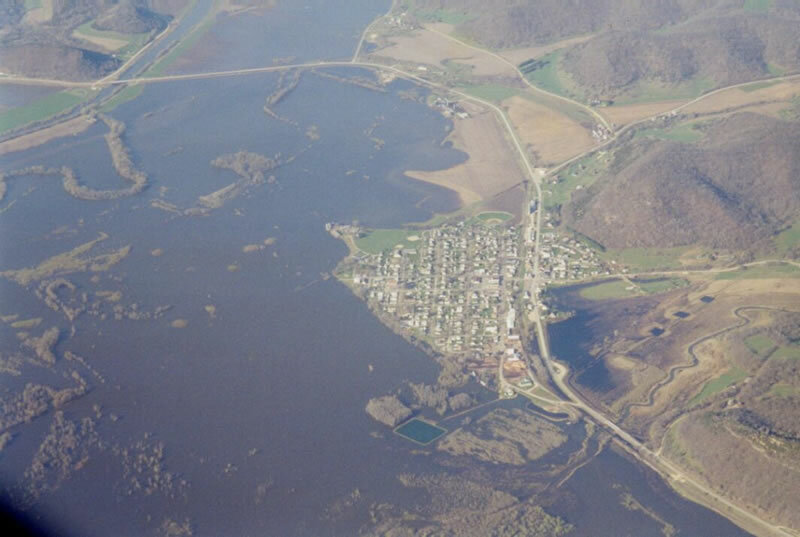 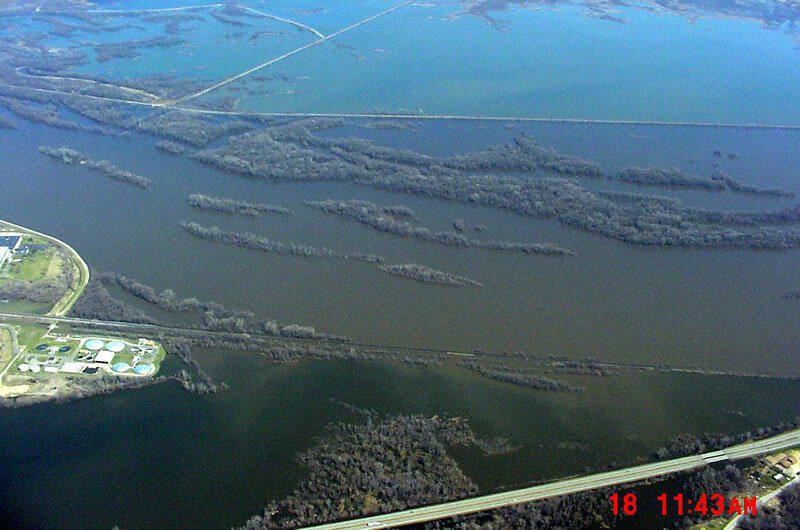 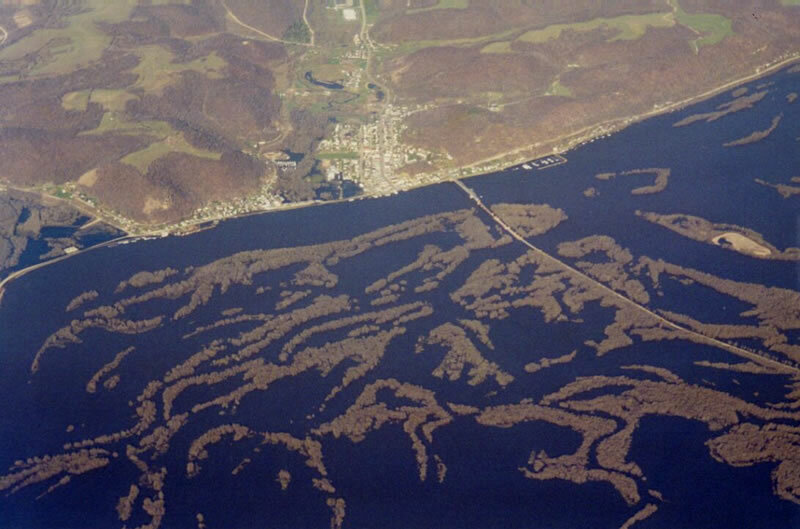 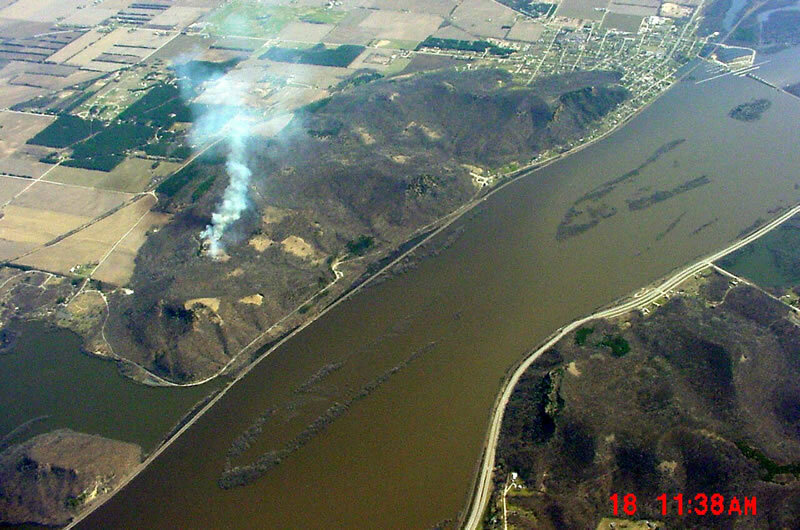 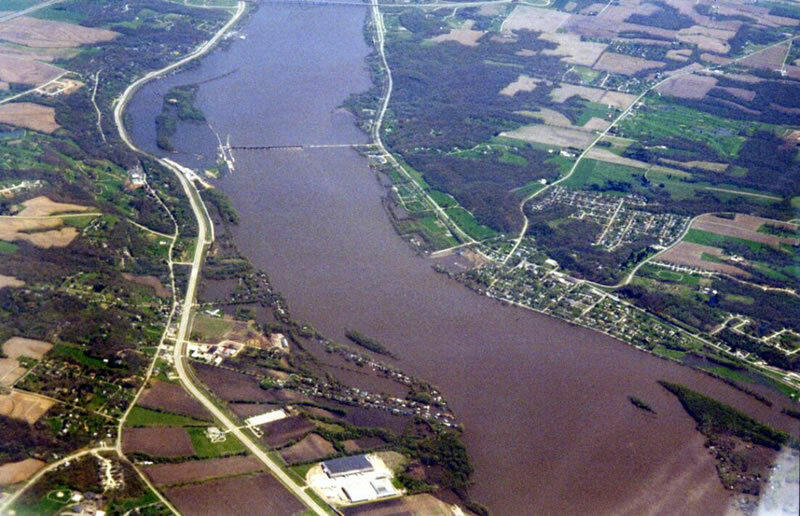 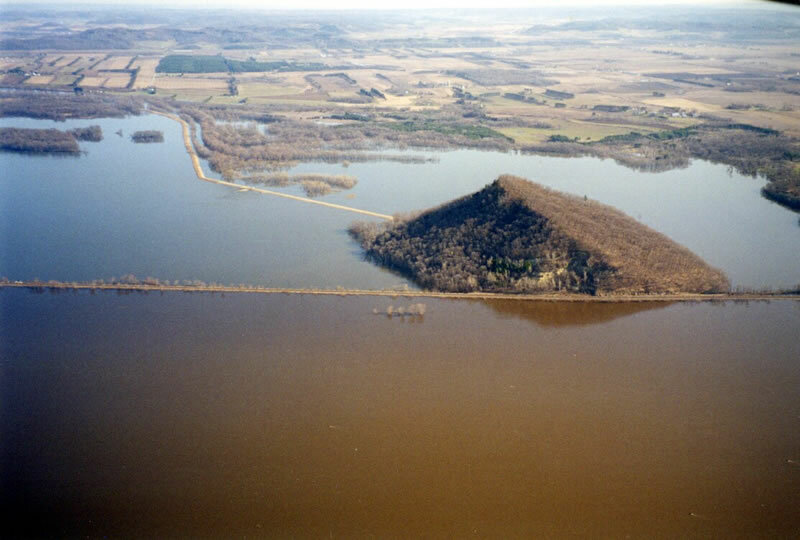 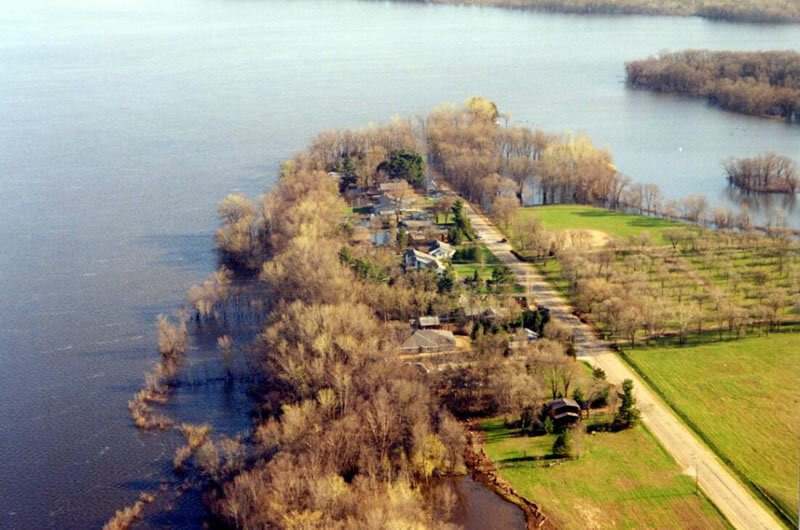 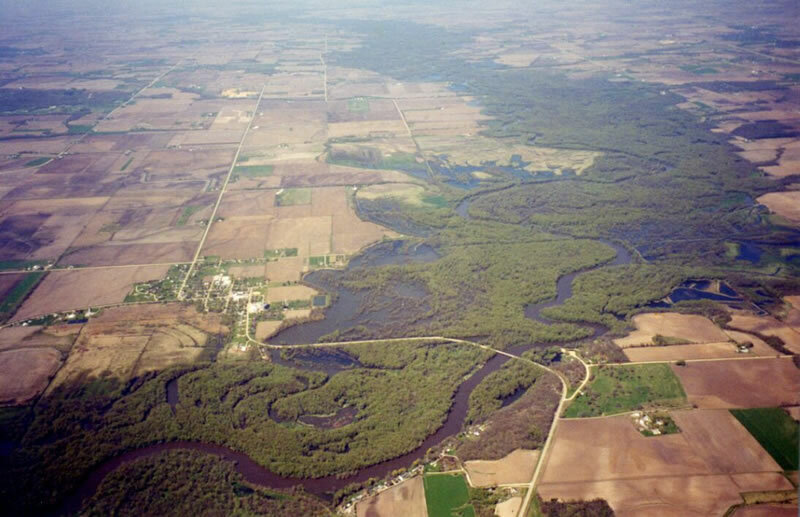 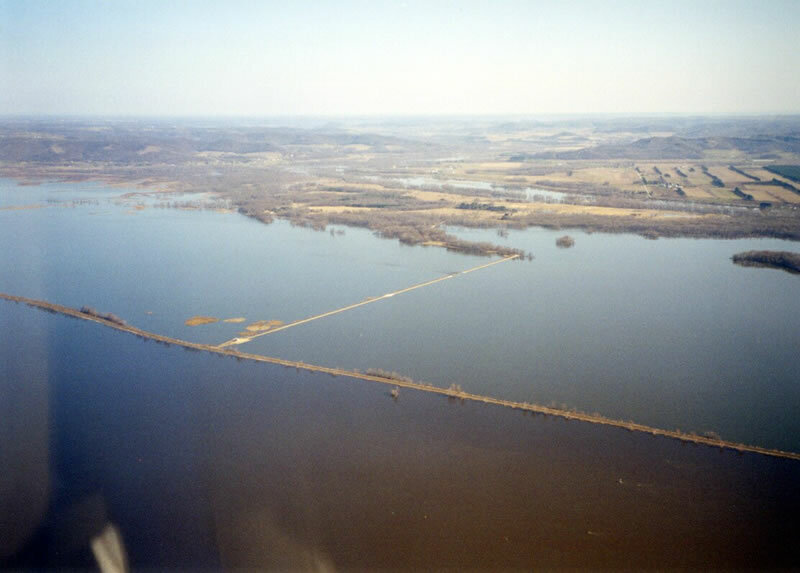 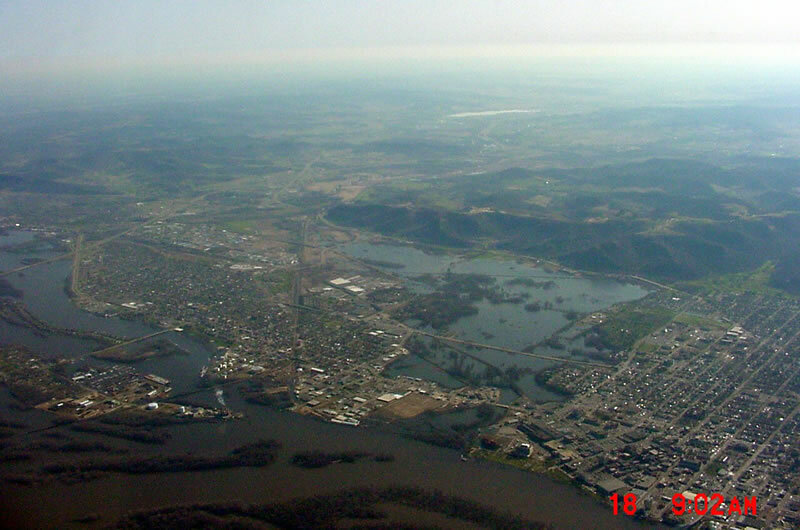 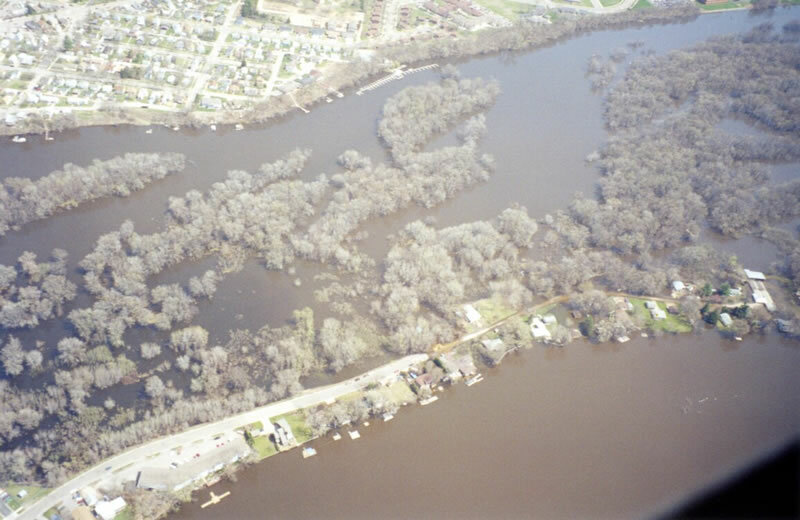 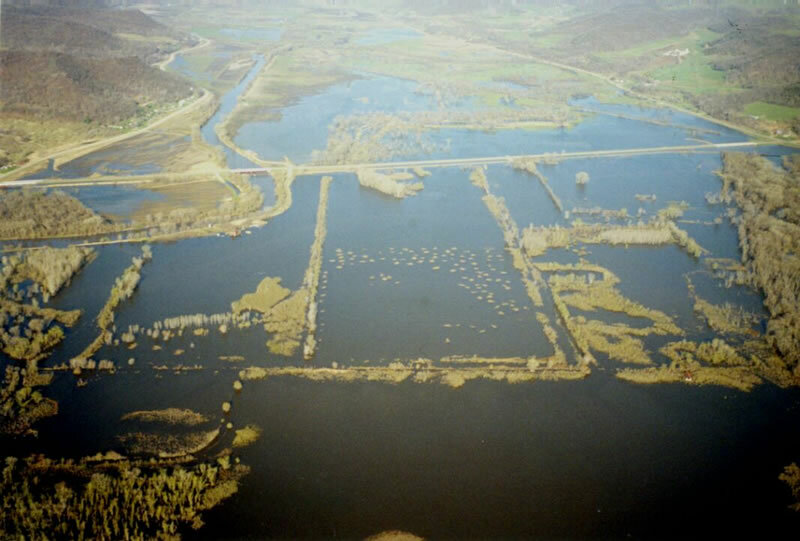 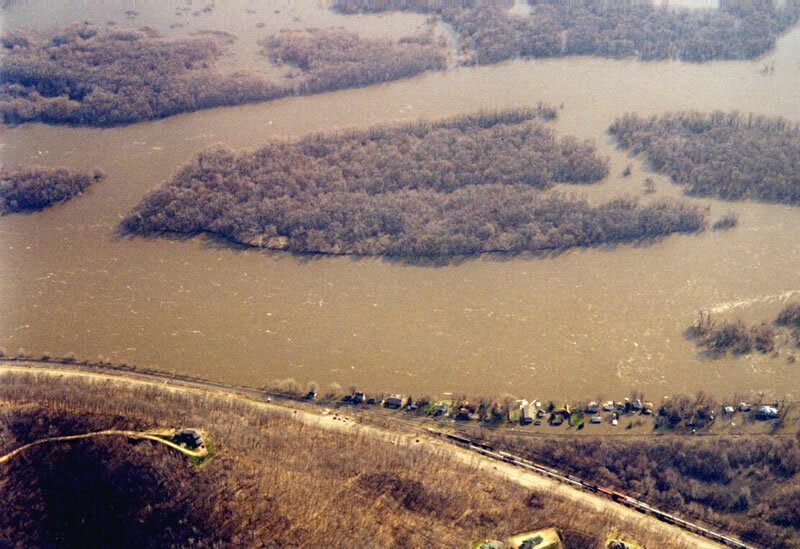 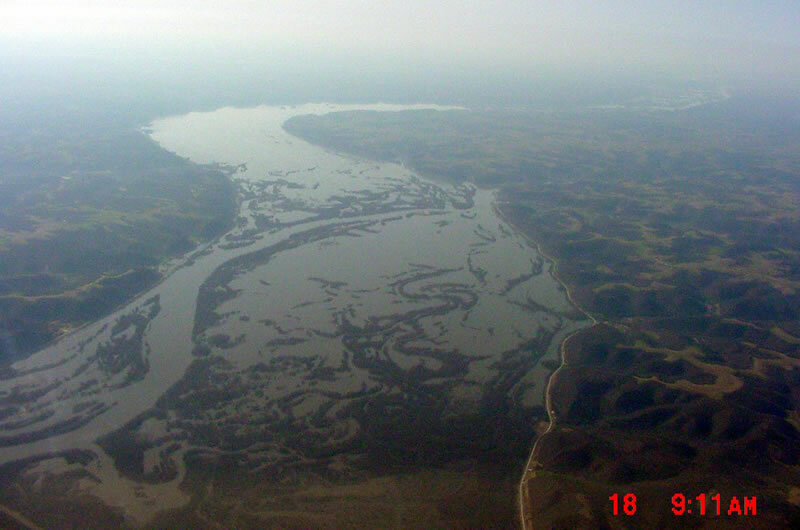 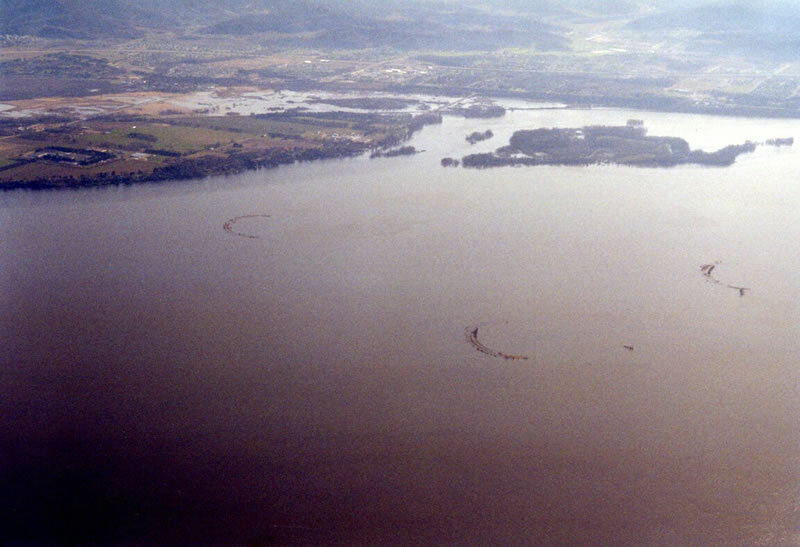 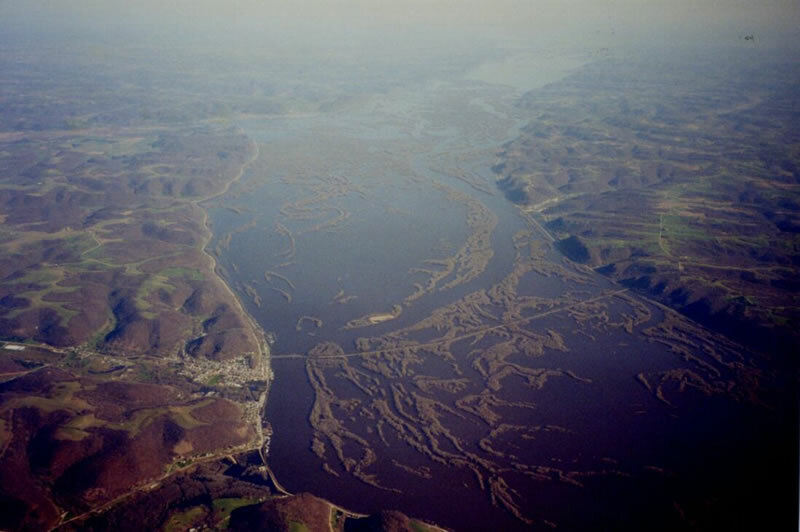 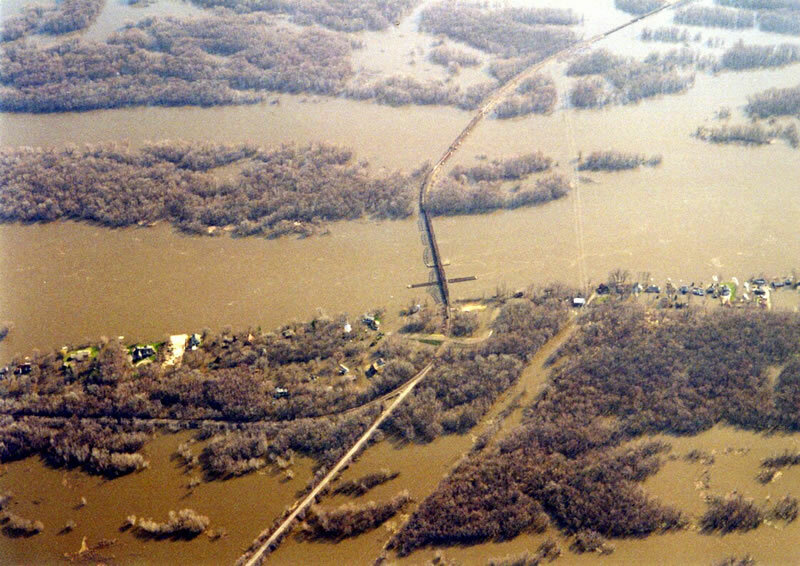 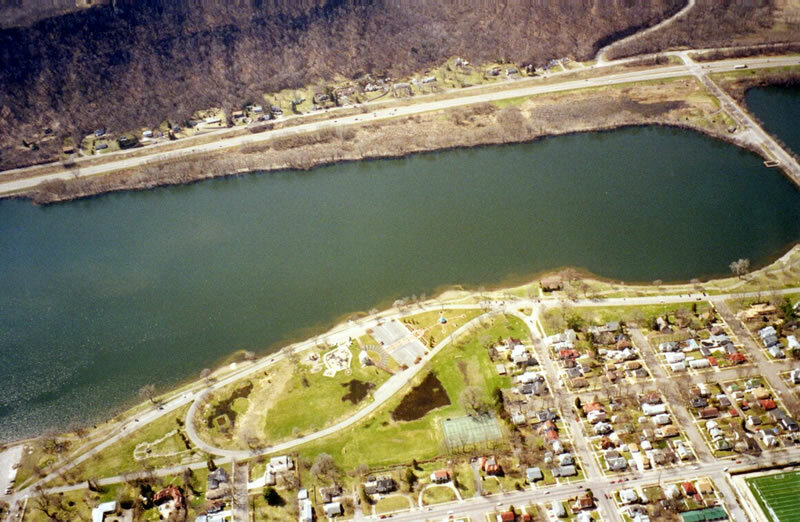 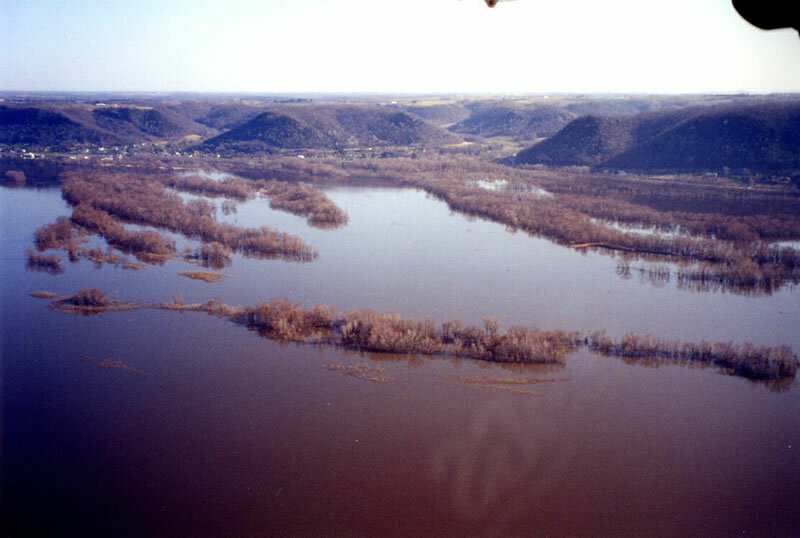 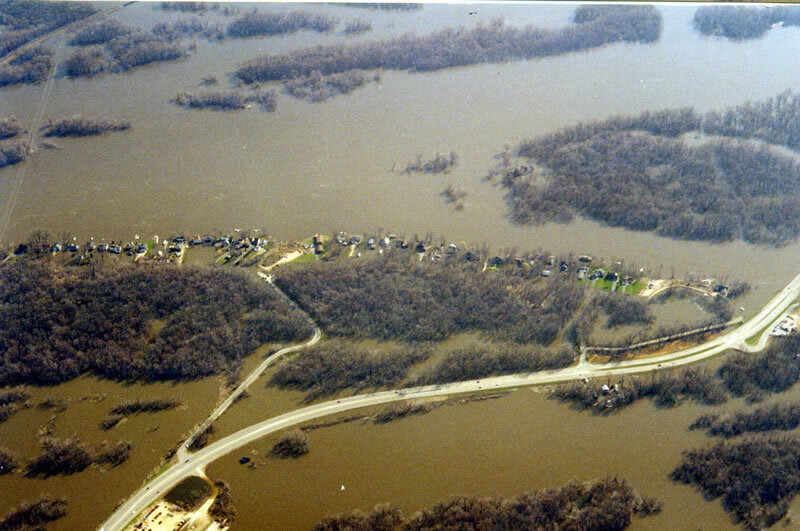 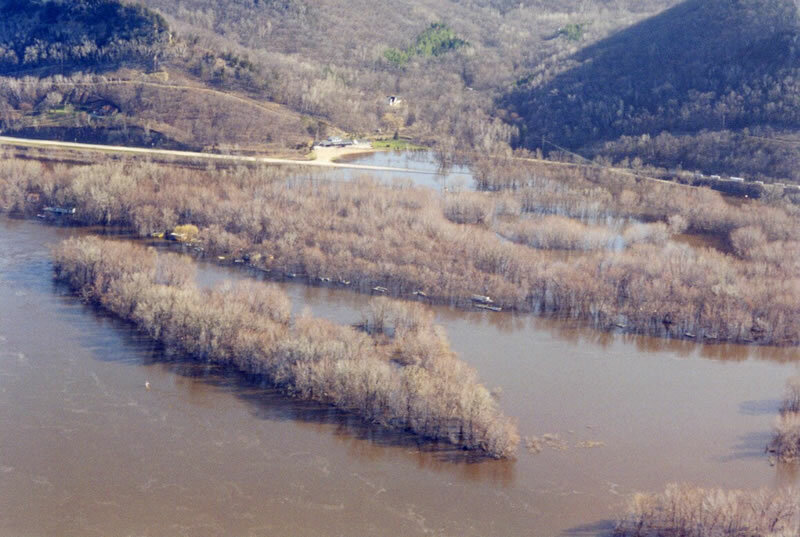 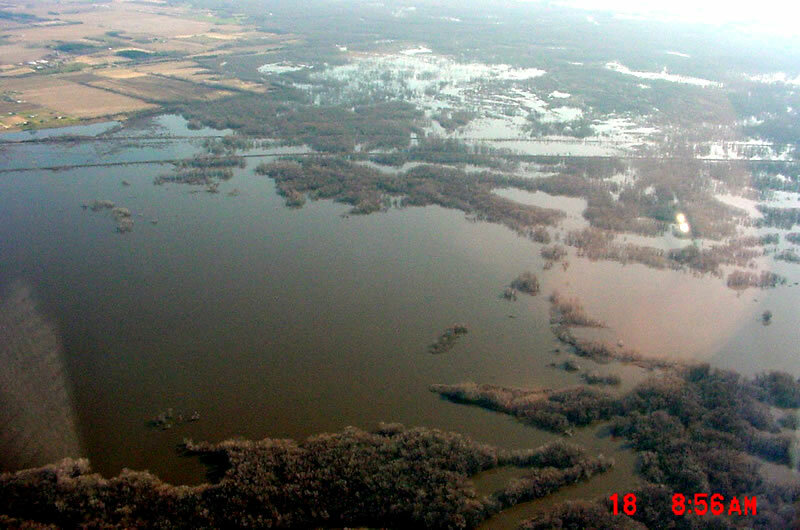 On April 18, 2001 the Mississippi River flood crested in La Crosse, Wisconsin 4.1 feet above flood stage; UMESC documented the flooding with a collection of aerial obliques covering portions of Navigation Pools 6-9. 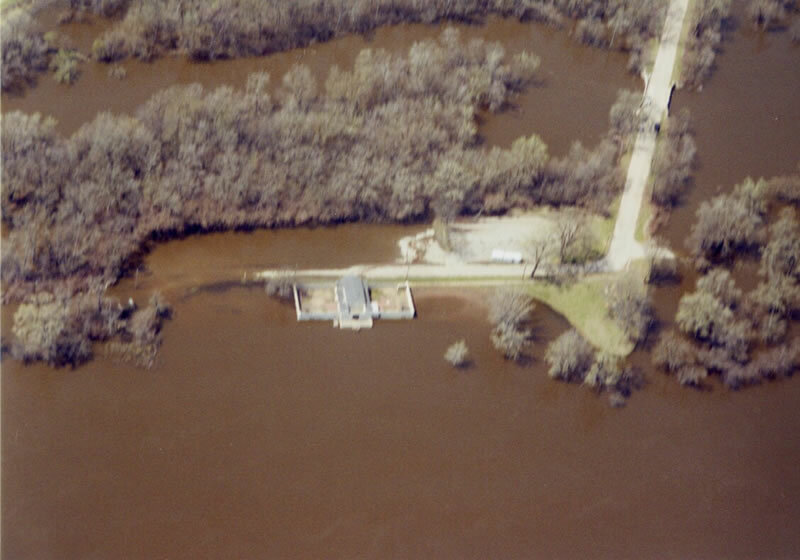 On April 24th with water levels approximately 3.5 feet above flood stage UMESC documented continued flooding in portions of Navigation Pools 8, 9, 12, 13, 14 and 15. 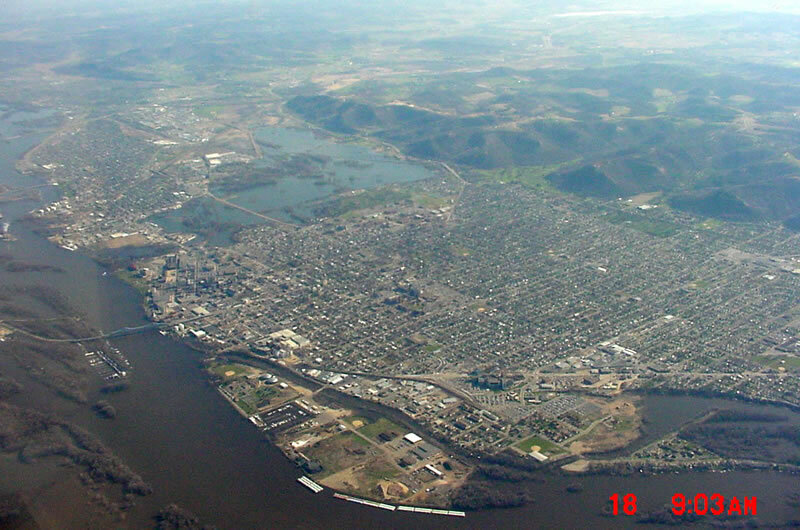 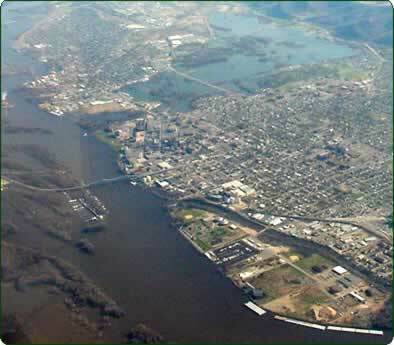 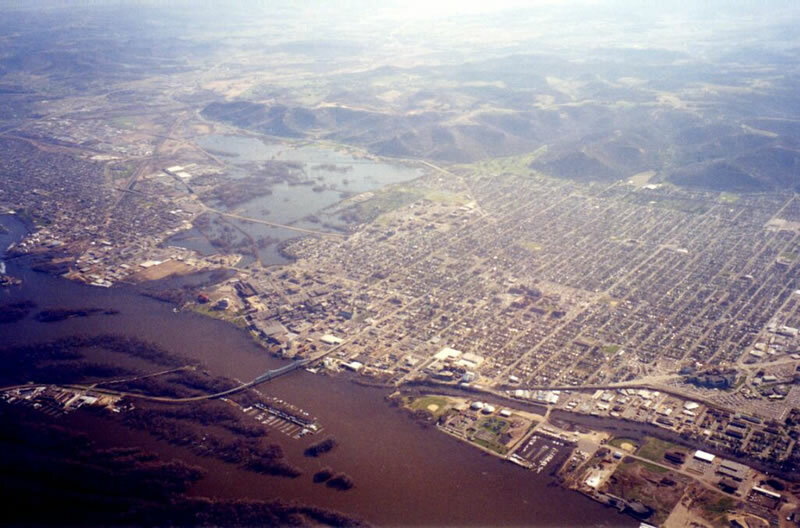 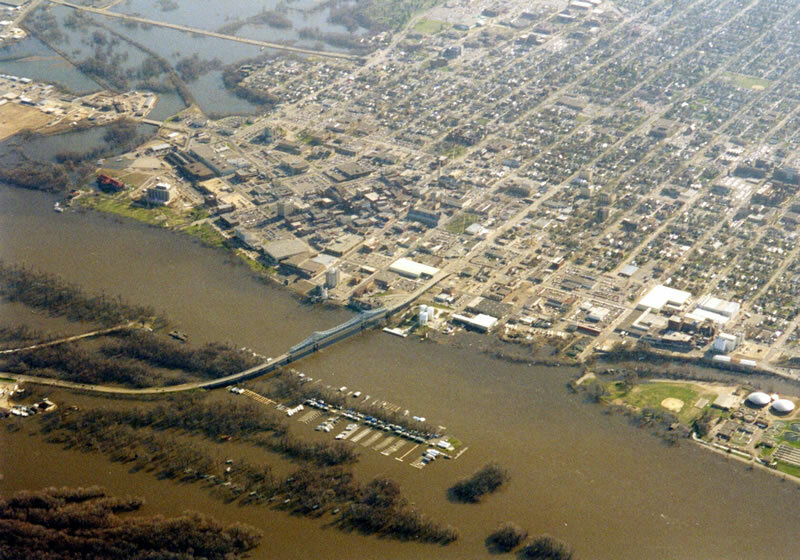 The city of La Crosse, Wisconsin exerienced flooding from the Mississippi River (left), the Black River (upper left) and the La Crosse River (upper right). 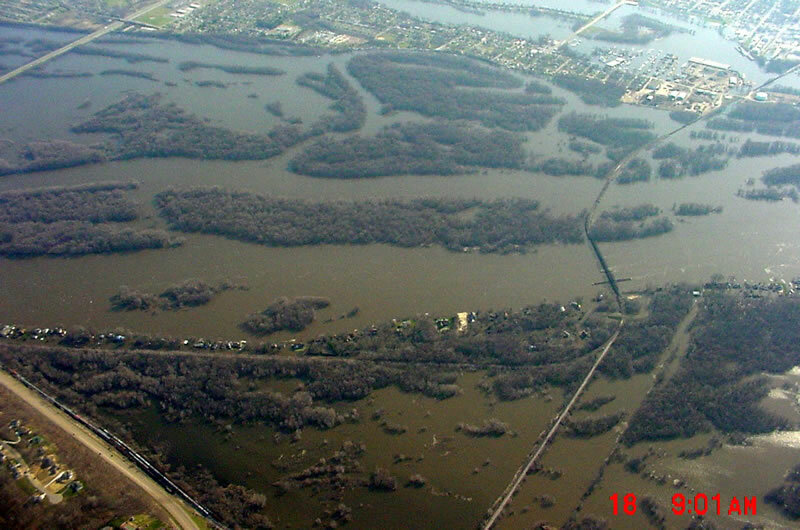 The red insets in the image above approximate the portions of the Mississippi River for which aerial obliques of the April 2001 flood are available: UMRS Pools 6-9, 12-15. 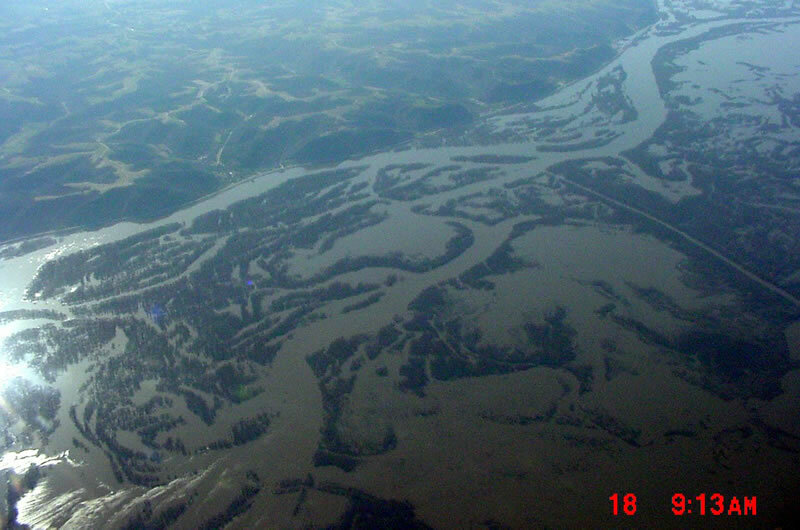 Photos by Larry Robinson, UMESC. 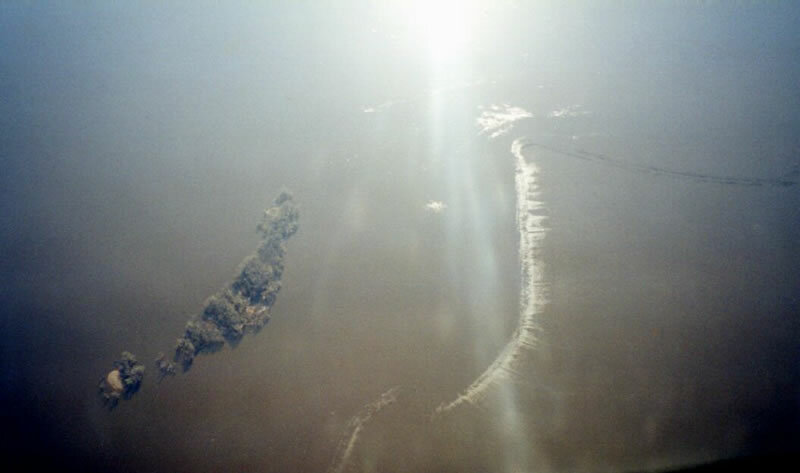 The images shown below are thumbnails intended for preview; they are approximately 1/10th actual size. 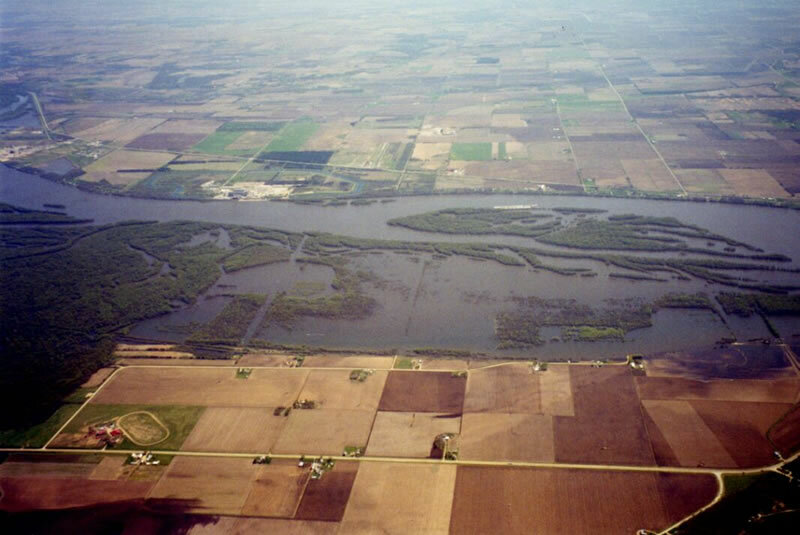 The full-sized images are typically 300 kilobytes each, 800 x 600 pixels. 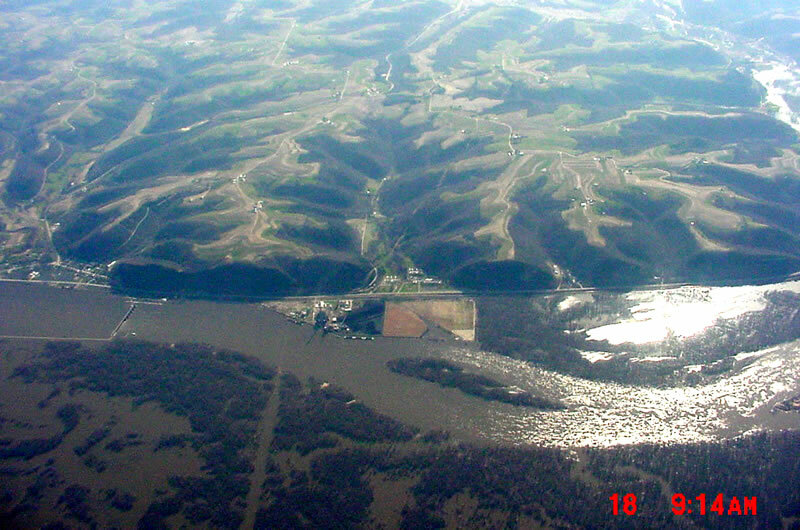 Click on the thumbnail or the description to view the full sized image.